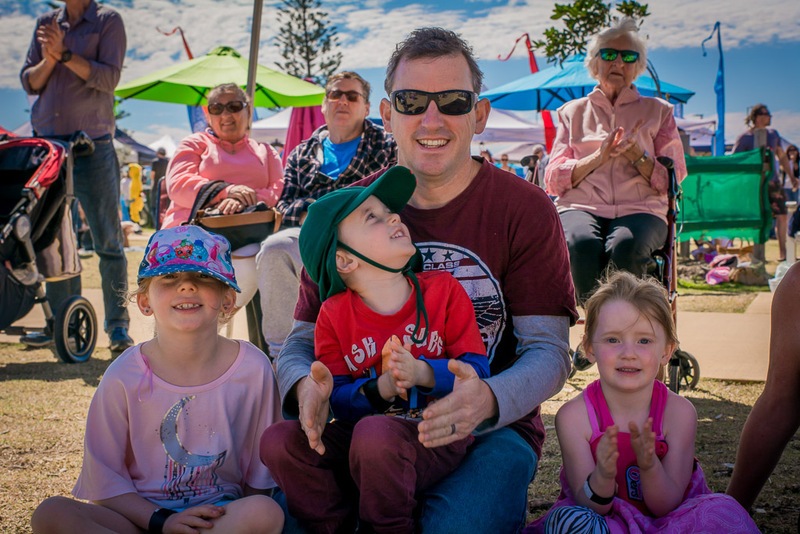 We are excited to announce Santa will be parachuting into Harbourside Markets to collect last minute Christmas wishes from the boys and girls of the Coffs Coast. 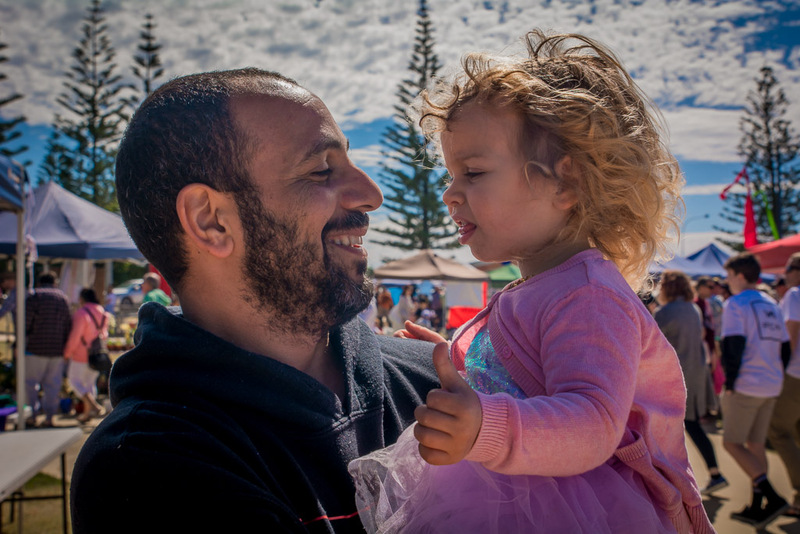 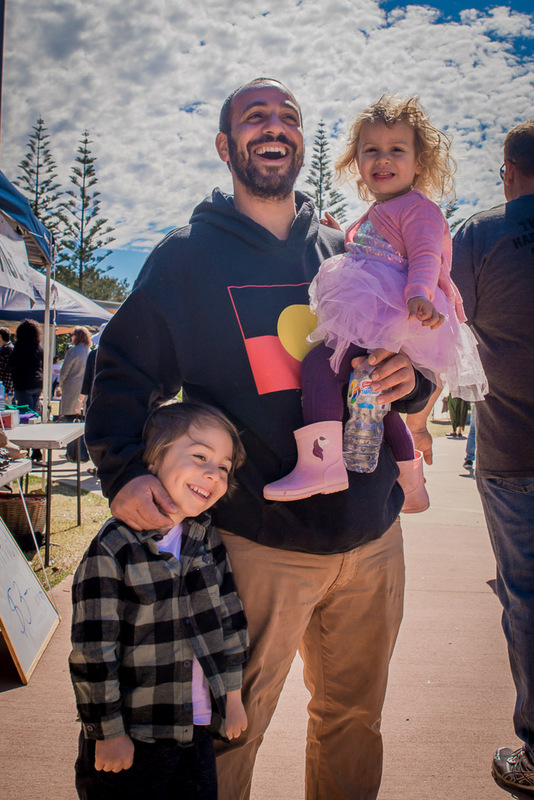 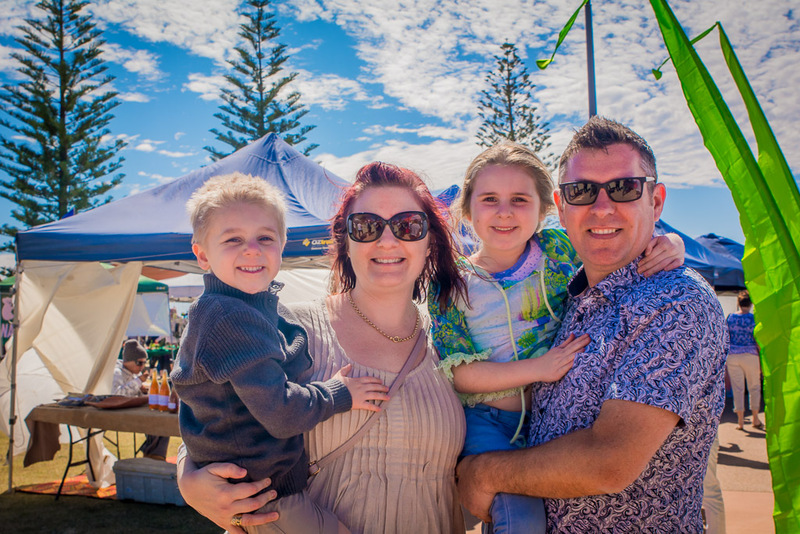 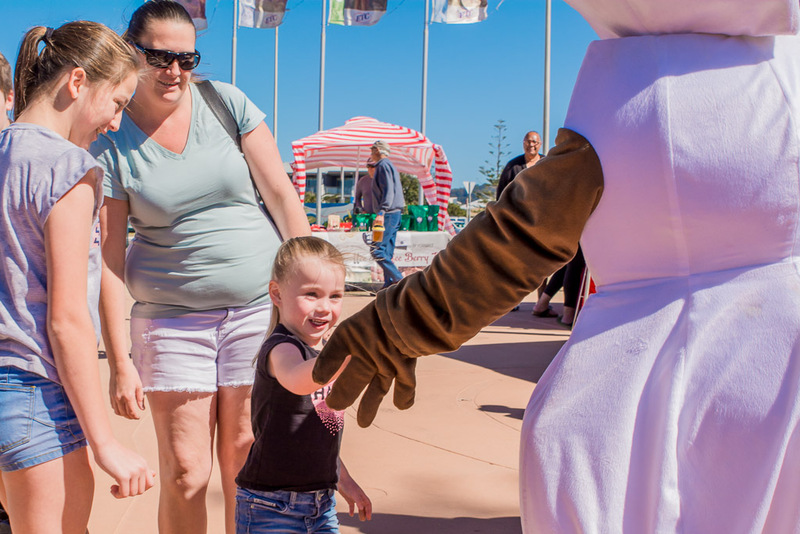 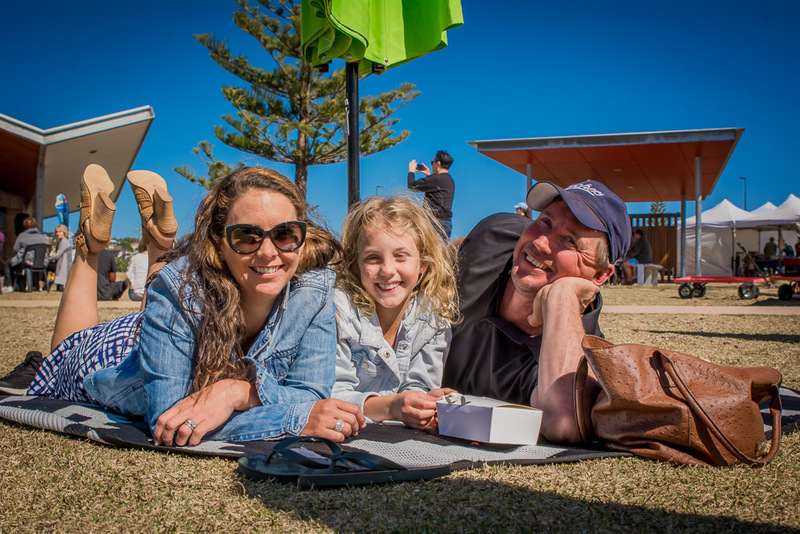 Bring your family and friends along to Christmas celebrations at Harbourside Markets on Sunday 23rd December. 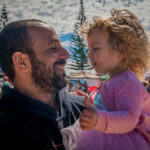 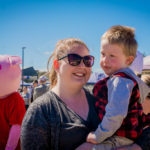 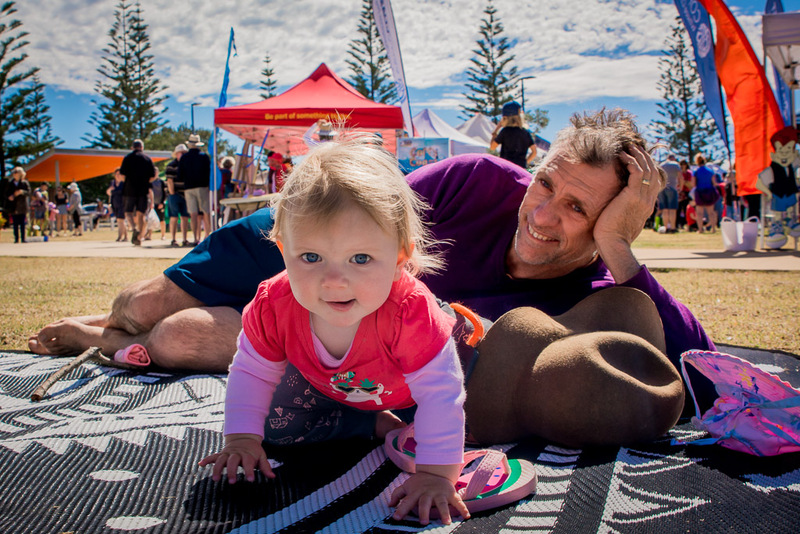 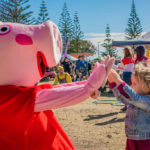 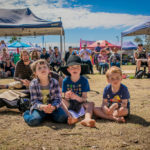 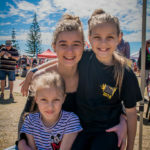 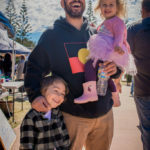 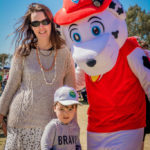 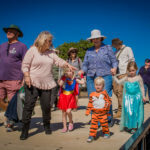 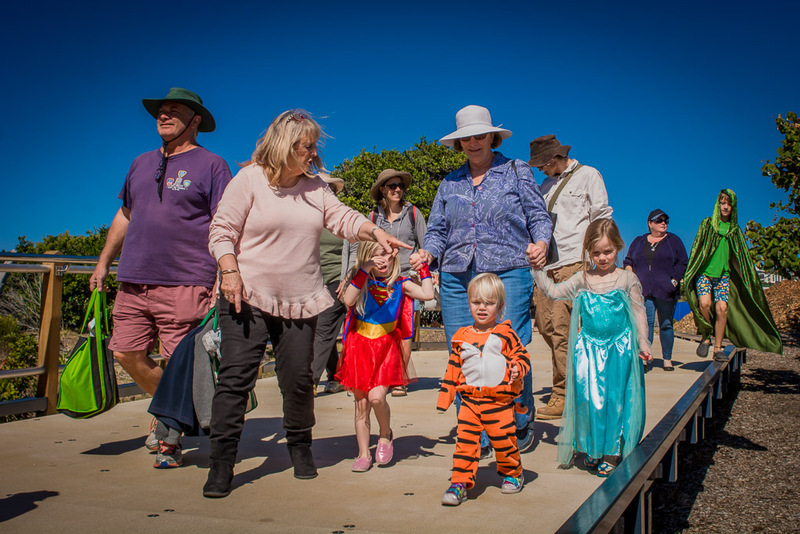 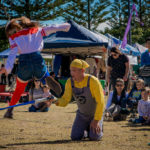 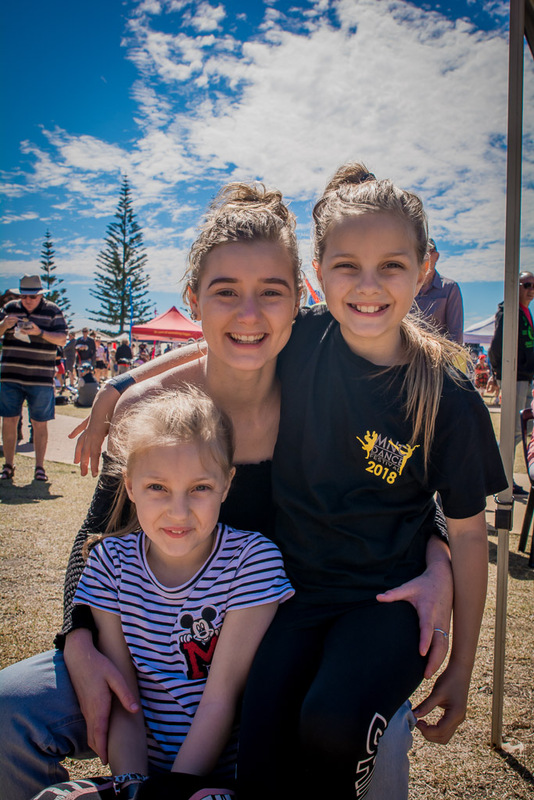 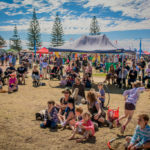 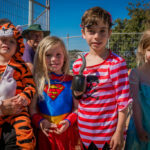 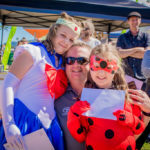 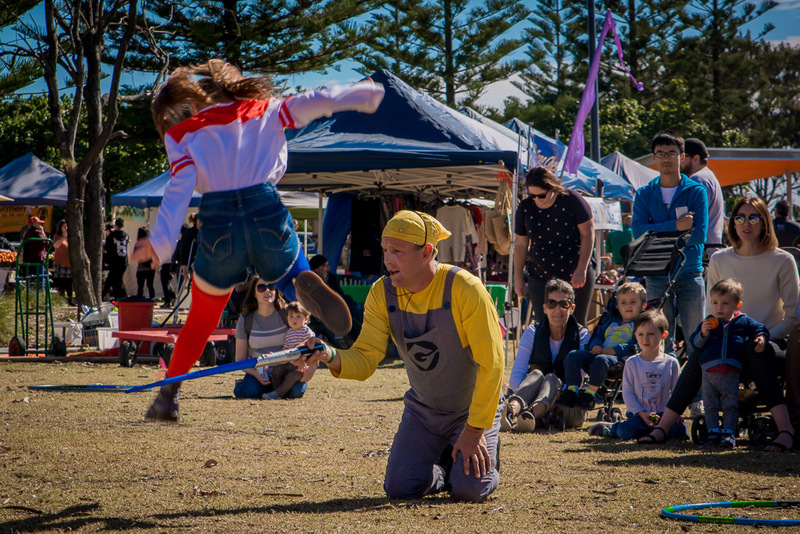 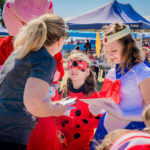 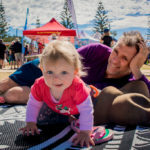 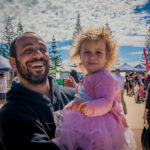 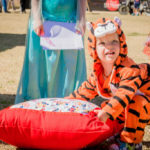 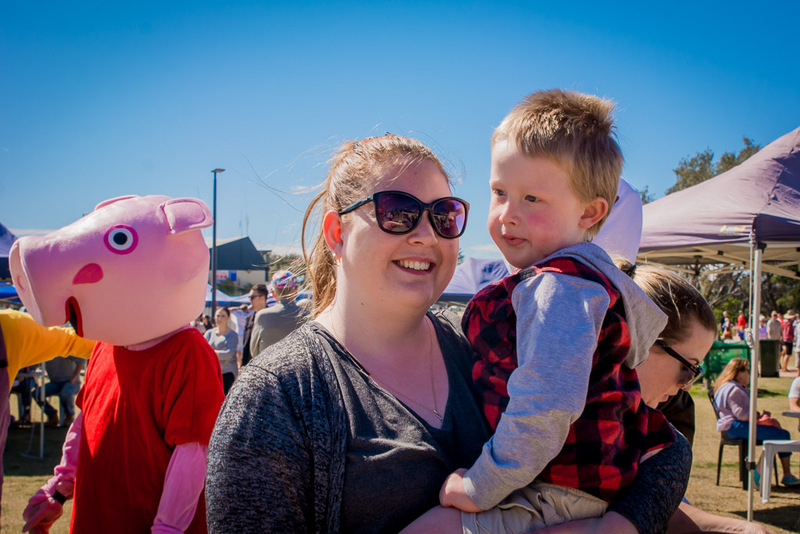 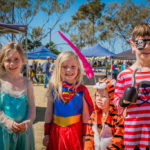 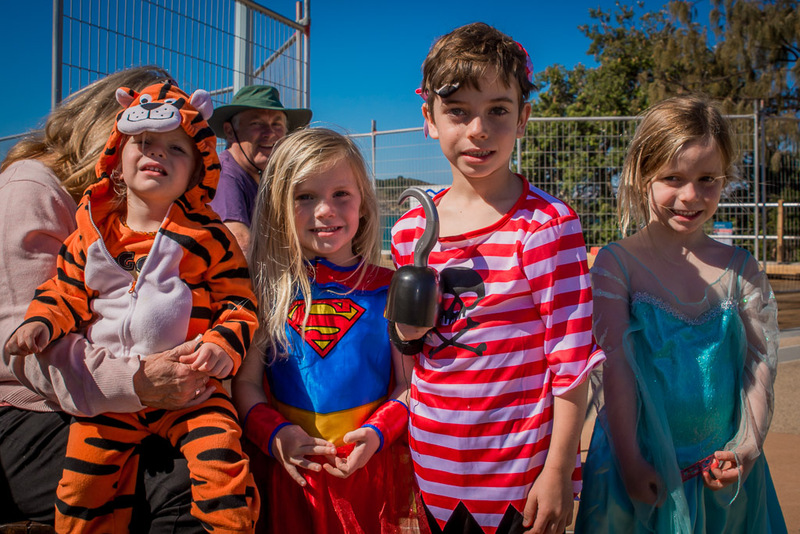 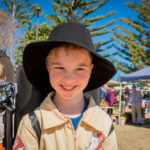 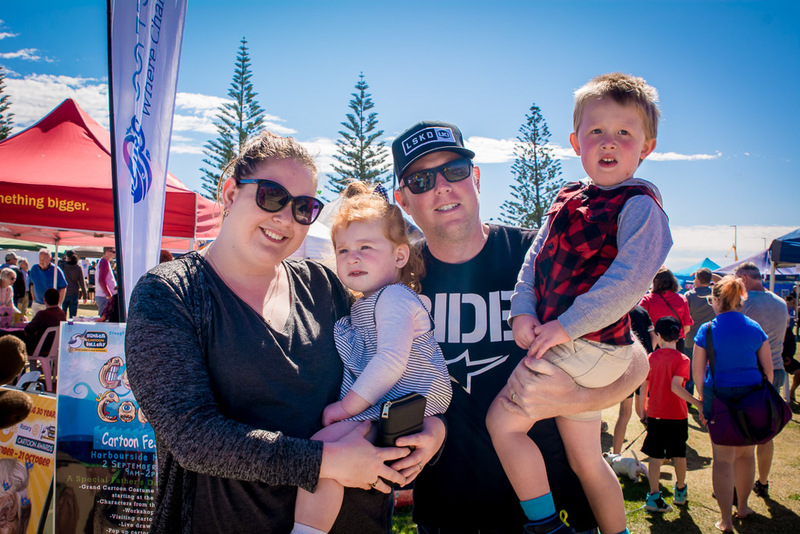 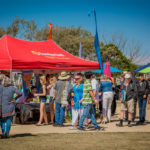 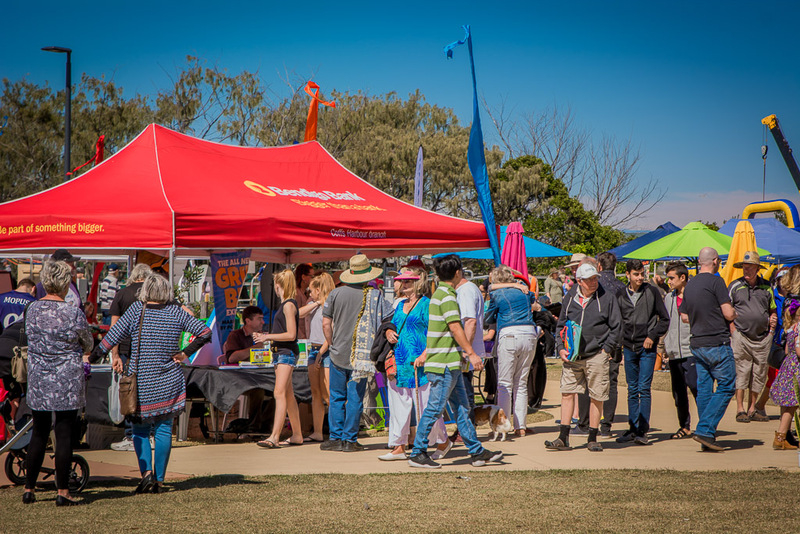 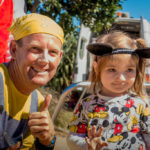 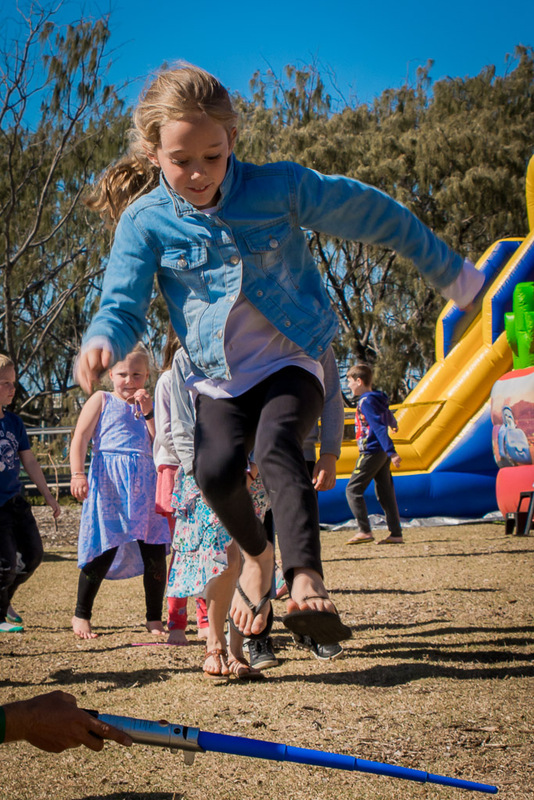 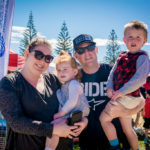 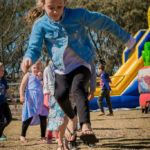 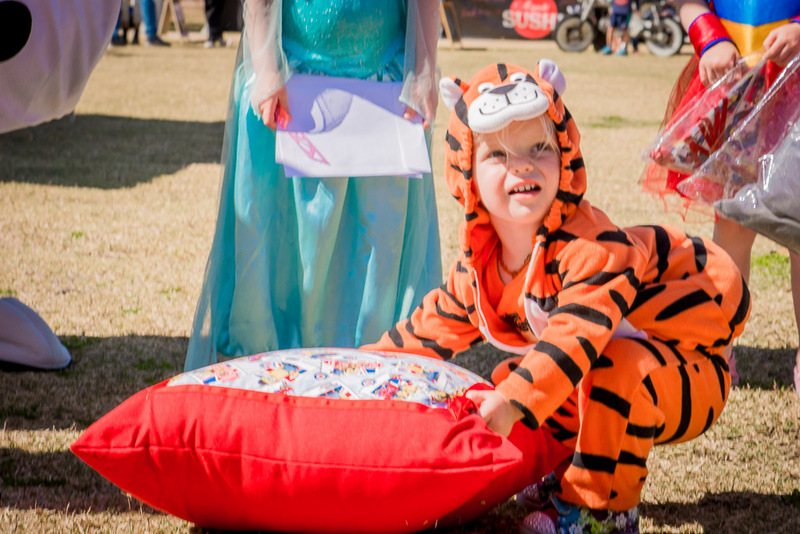 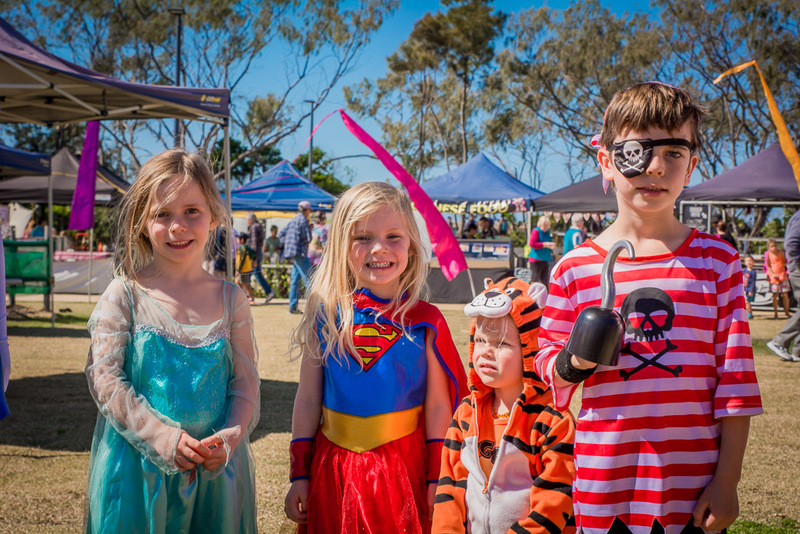 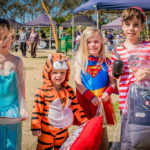 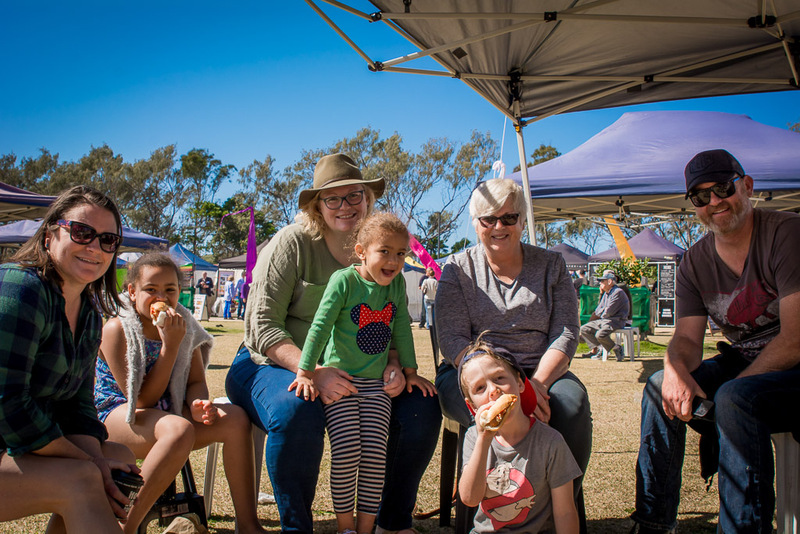 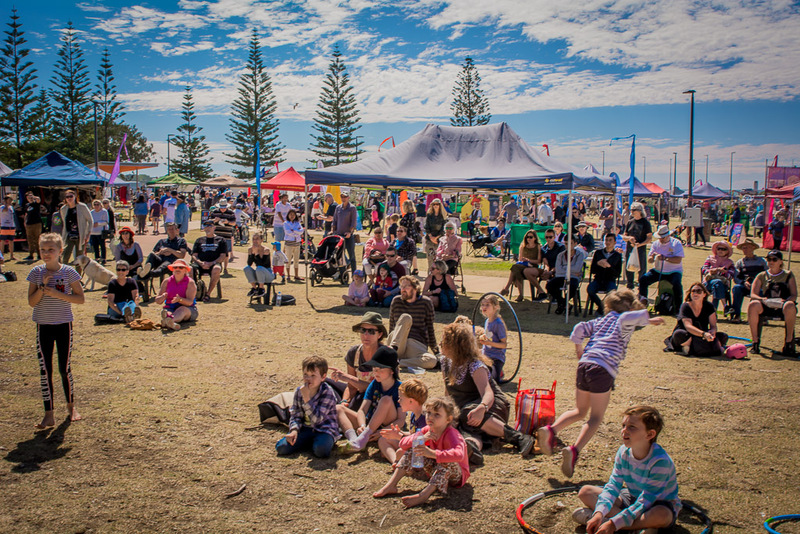 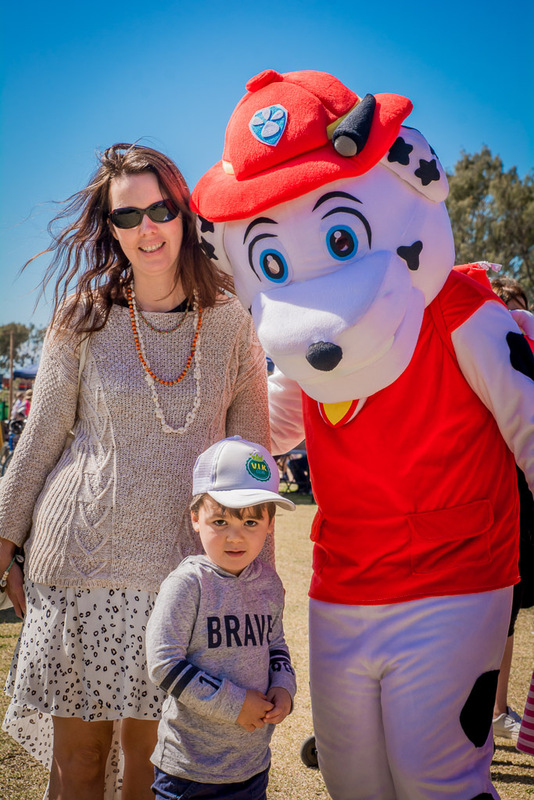 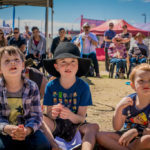 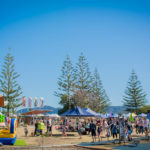 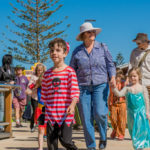 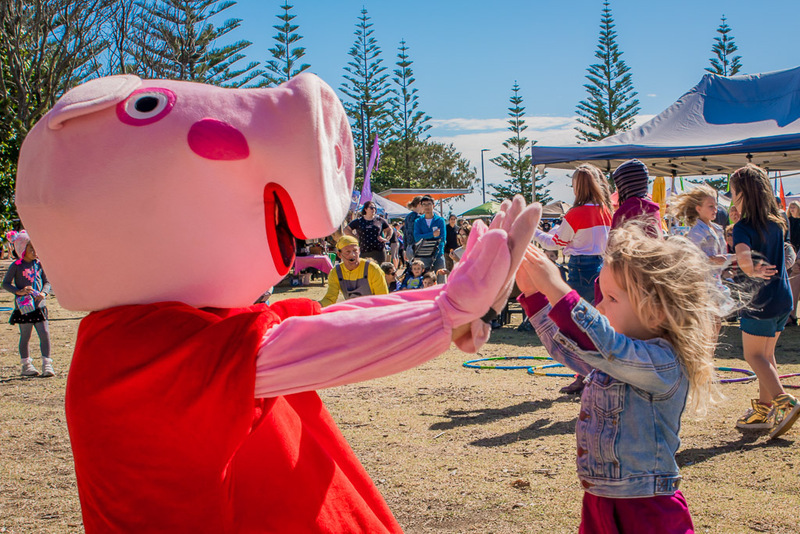 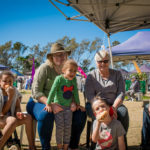 It will be a day of fun and frivolity with a little kids carnival, jumping castles, pony cycles, face painting, temporary tattoos, great food, live music and relaxed vibe. 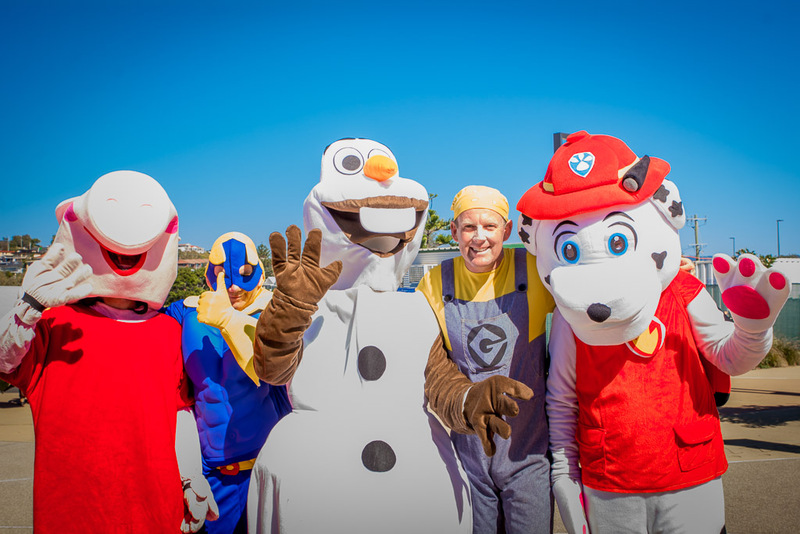 Santa is due to drop in from the North Pole at 10am with the help of Coffs City Skydivers. 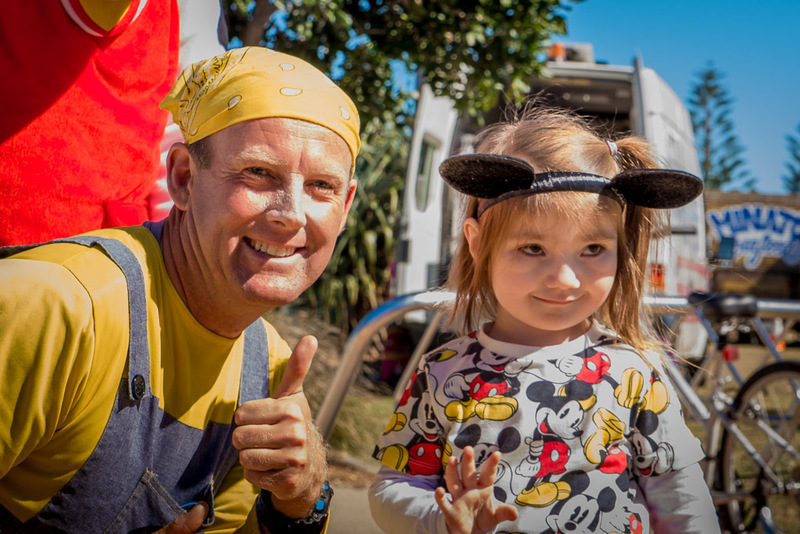 He will also be bringing his helper Pixie Elf to spread Christmas cheer courtesy of The Smiley’s! 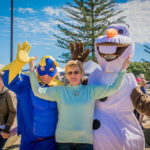 Join in with the festive spirit. 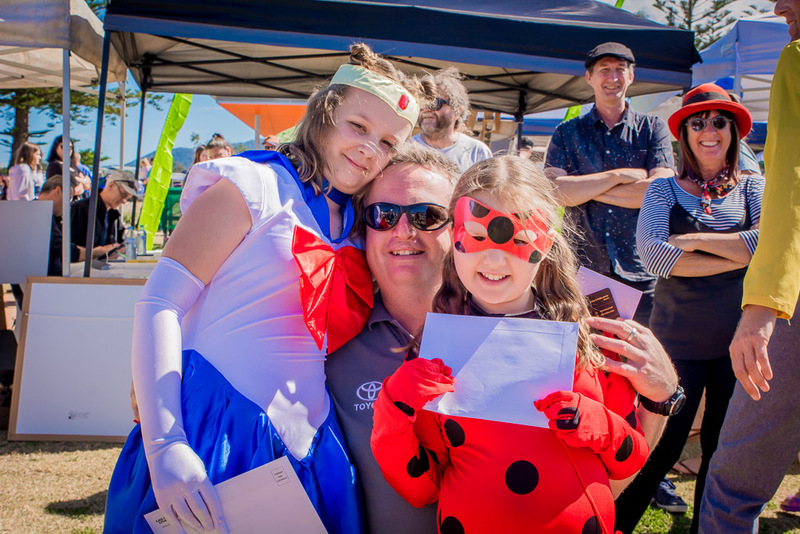 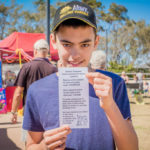 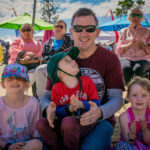 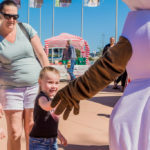 Fill in your special Santa wish list to enter our Christmas competition to win loads of prizes for big and little kids from Harbourside Markets, Coffs City Skydivers and The Smiley’s to be drawn at 11am on the day. 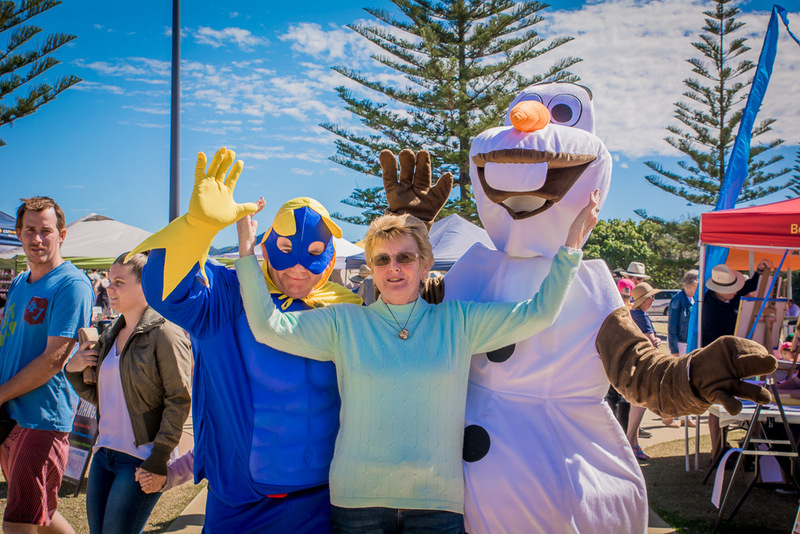 There will also be plenty of photo opportunities with Santa and Pixie Elf. 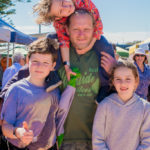 It’s a fantastic chance to support your local growers, producers and craftspeople and get the last of your Christmas shopping done. 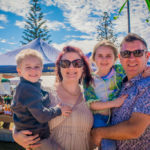 Grab your fresh fruit and vegetables and gourmet foods for the Christmas table. 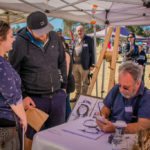 Shop for unique hand-made Christmas gifts in a pleasant holiday atmosphere without the crowds. 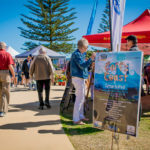 Christmas shopping on Sunday’s cannot get any better than this. 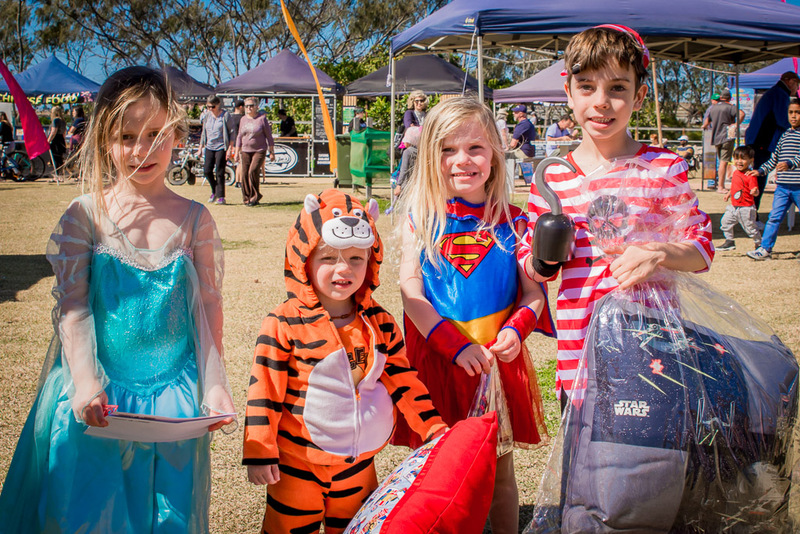 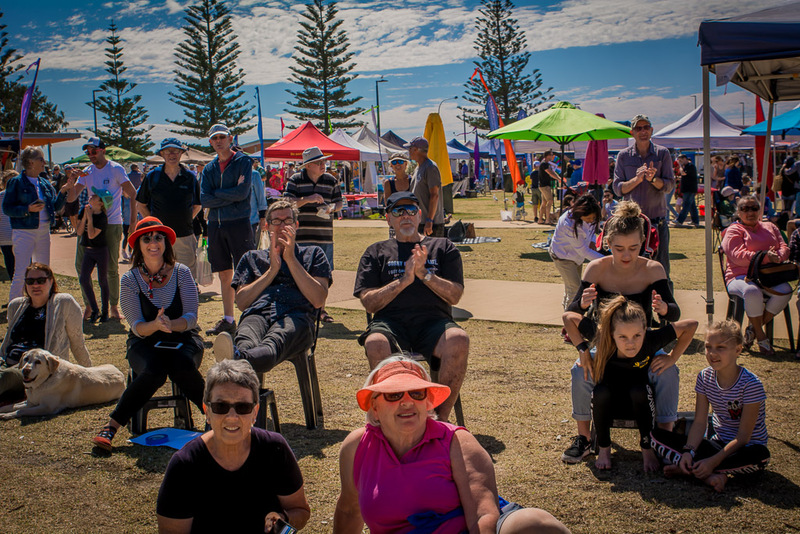 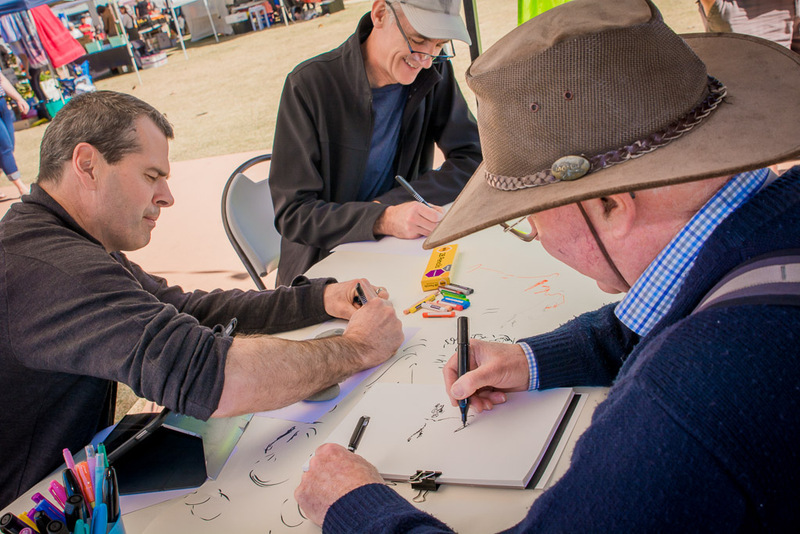 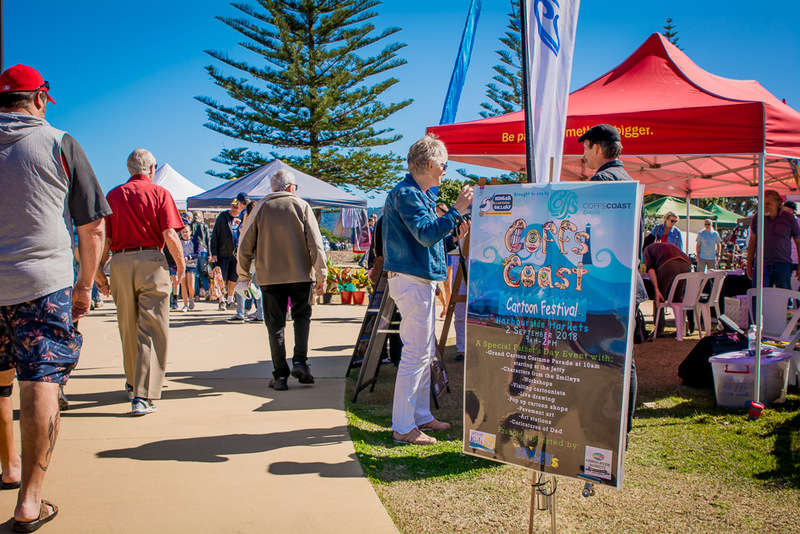 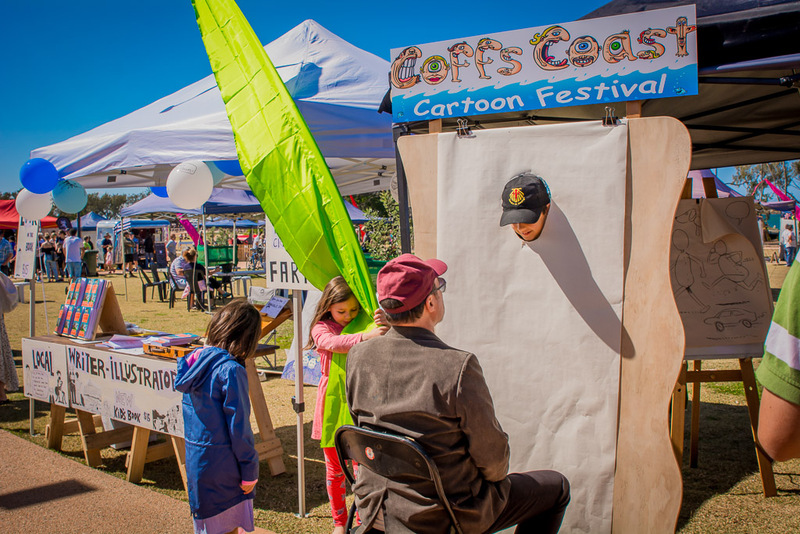 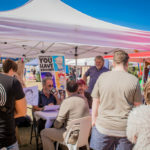 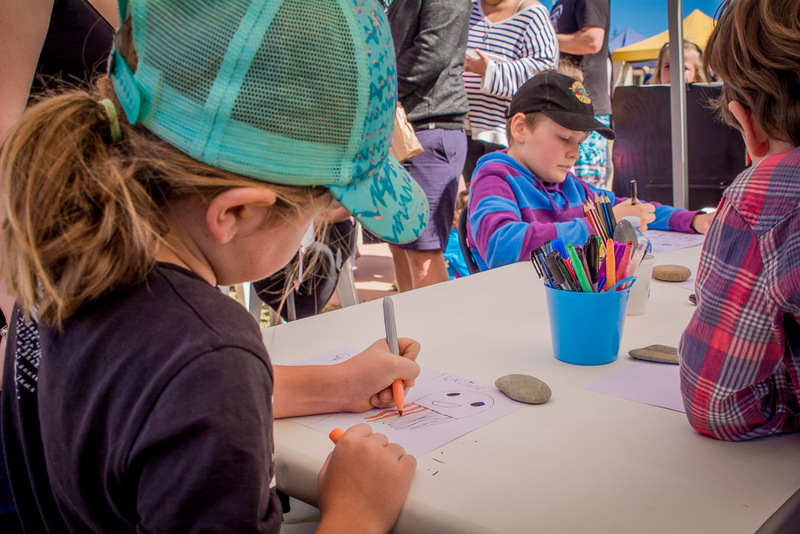 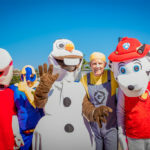 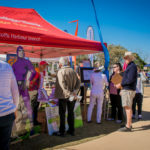 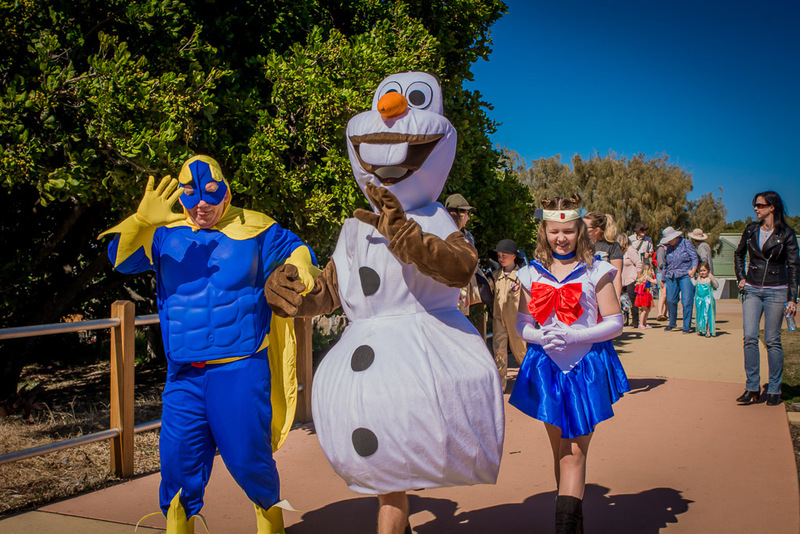 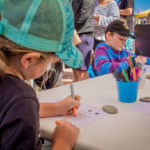 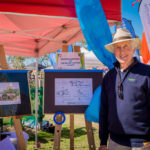 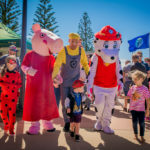 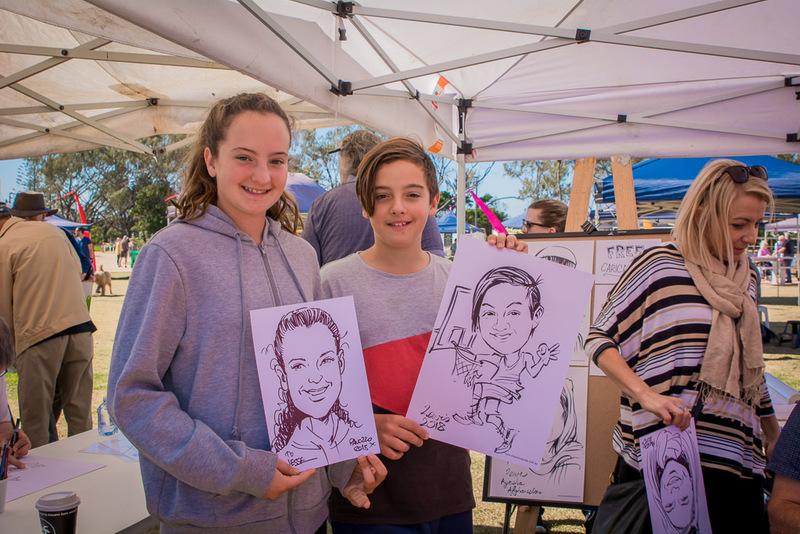 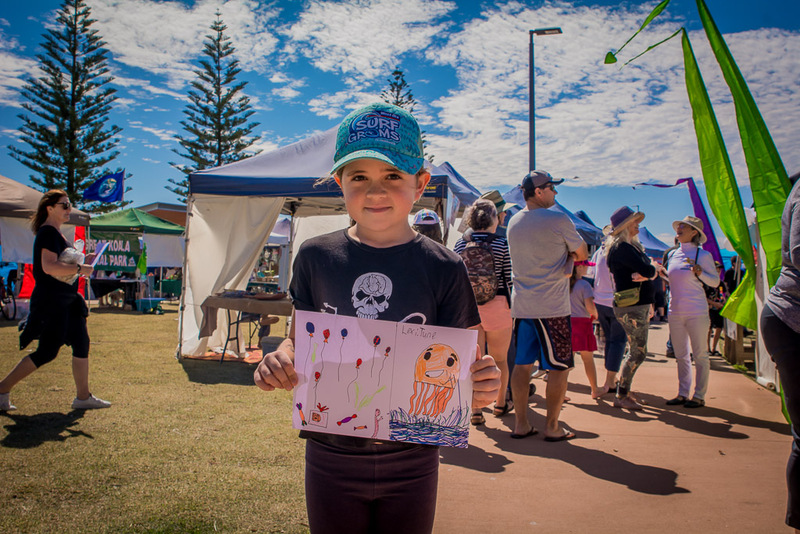 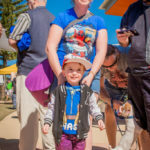 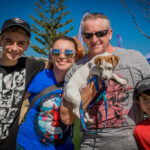 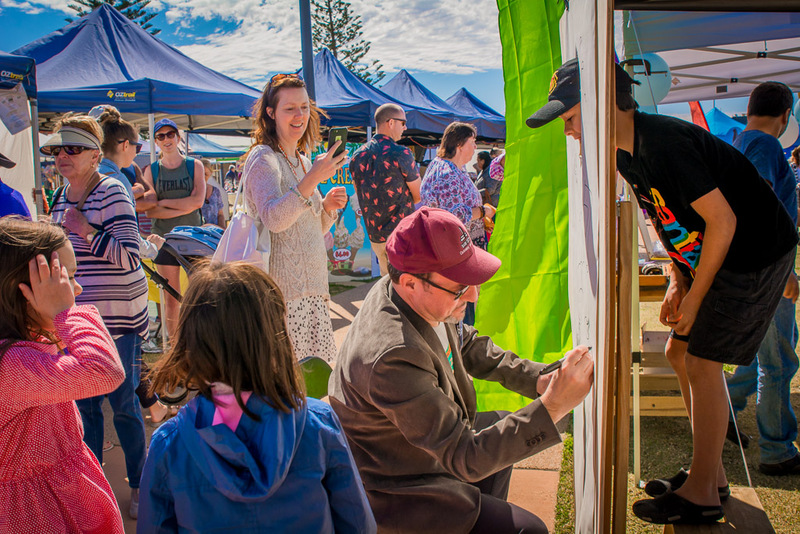 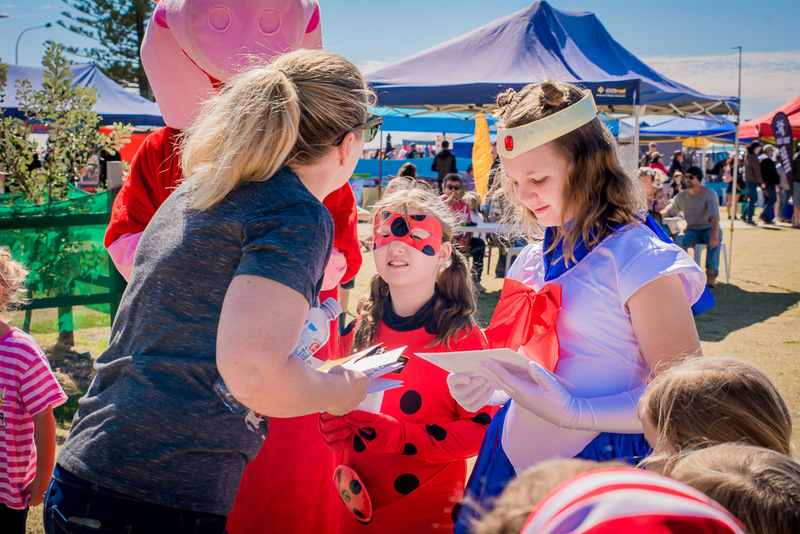 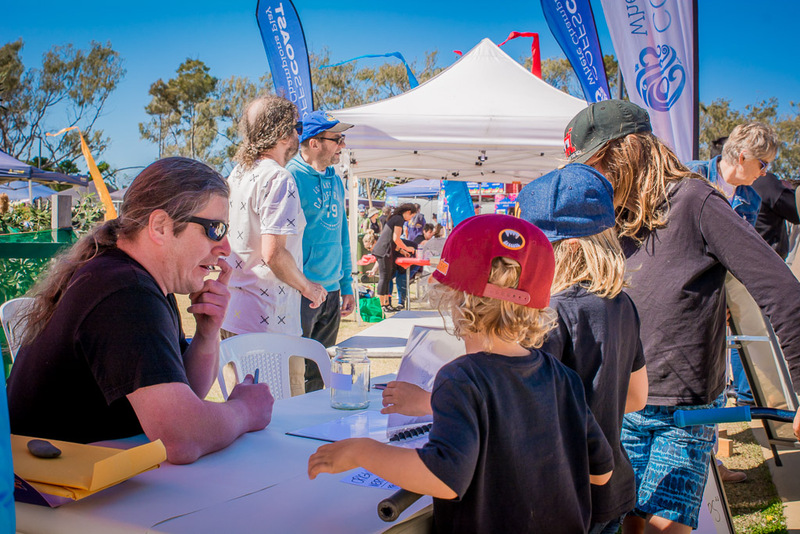 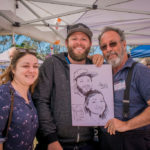 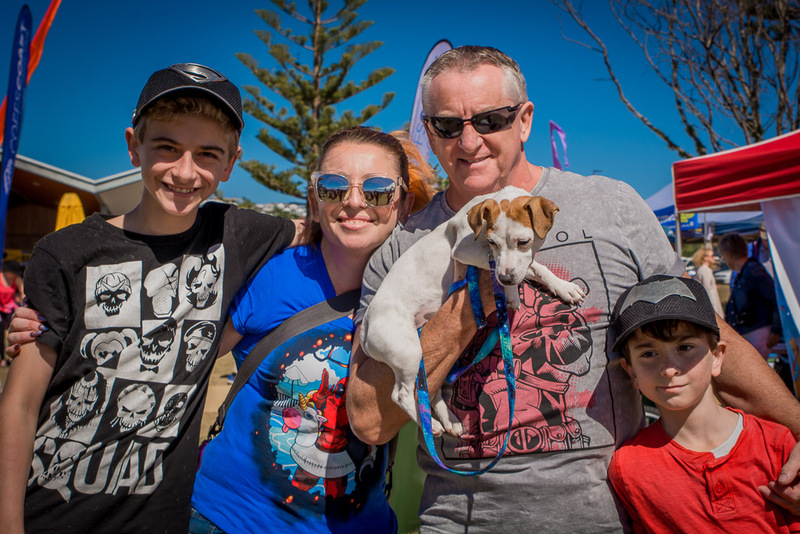 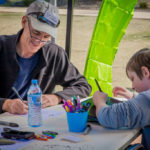 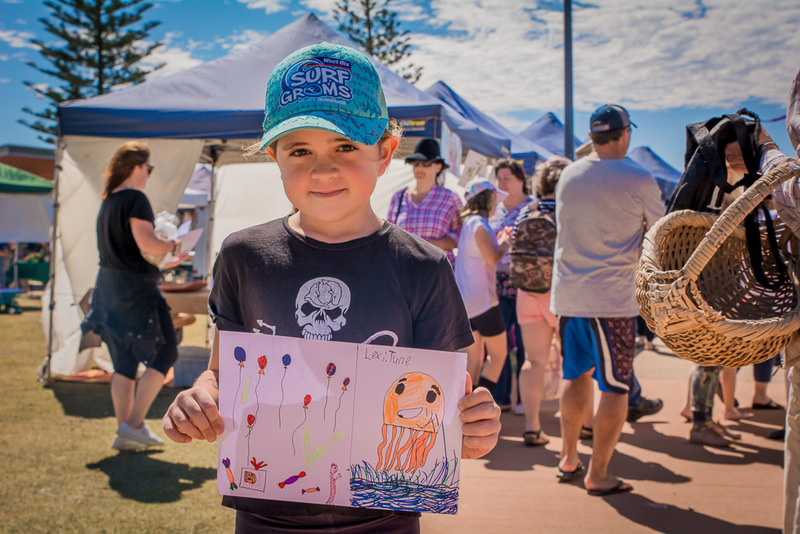 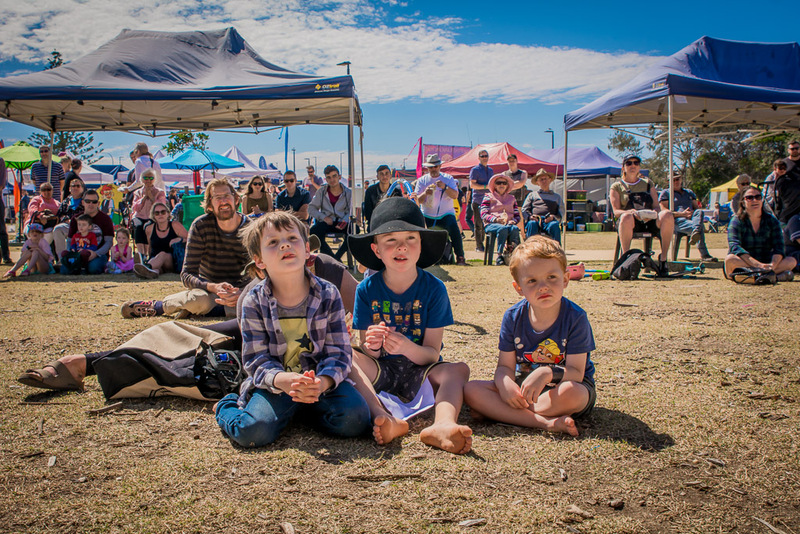 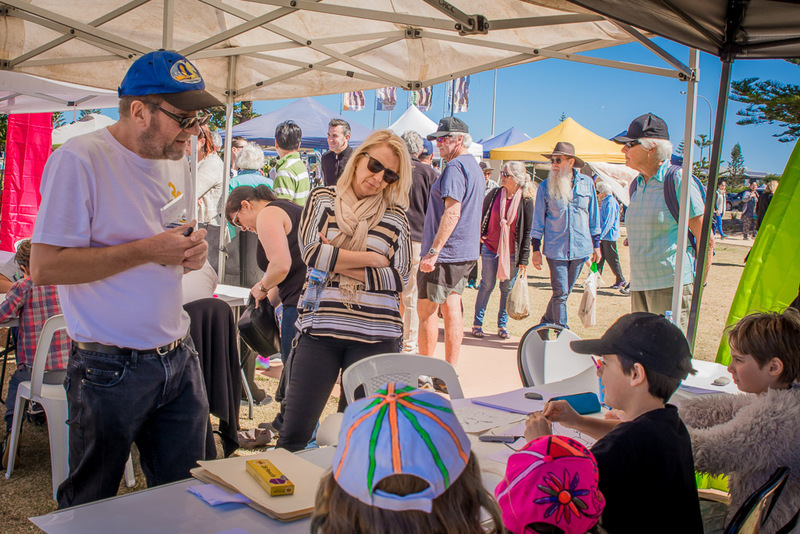 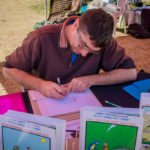 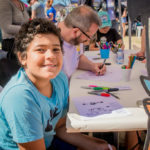 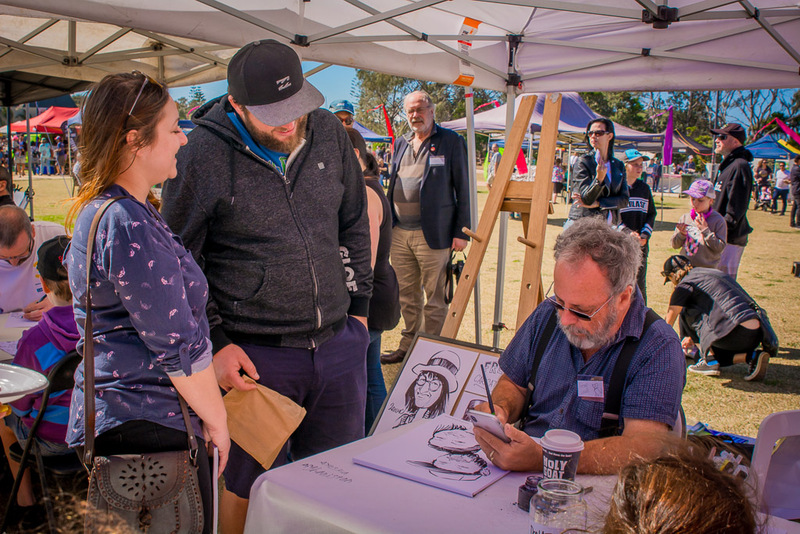 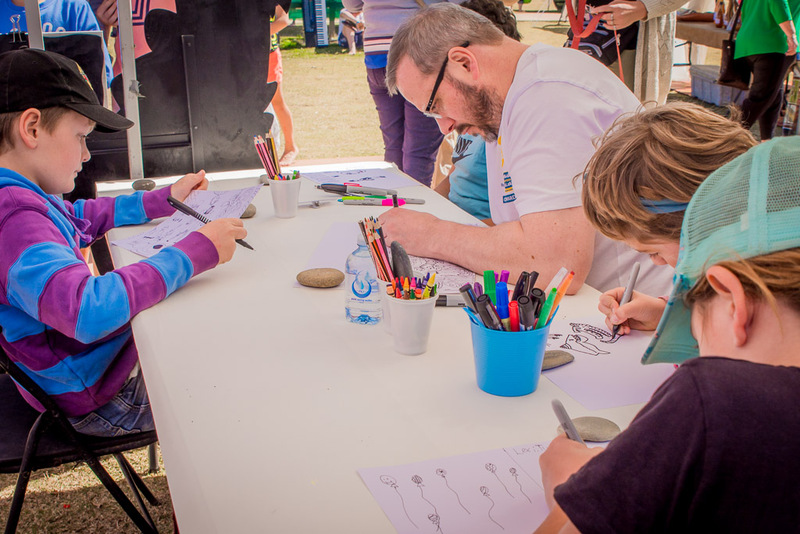 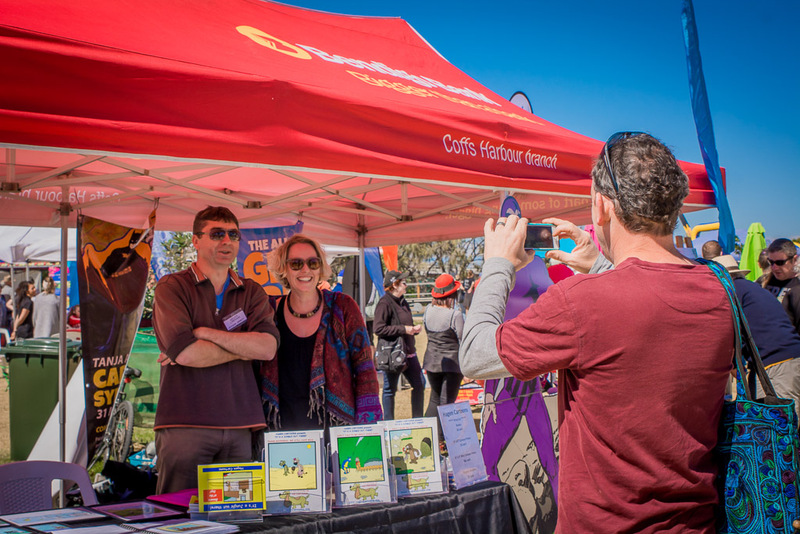 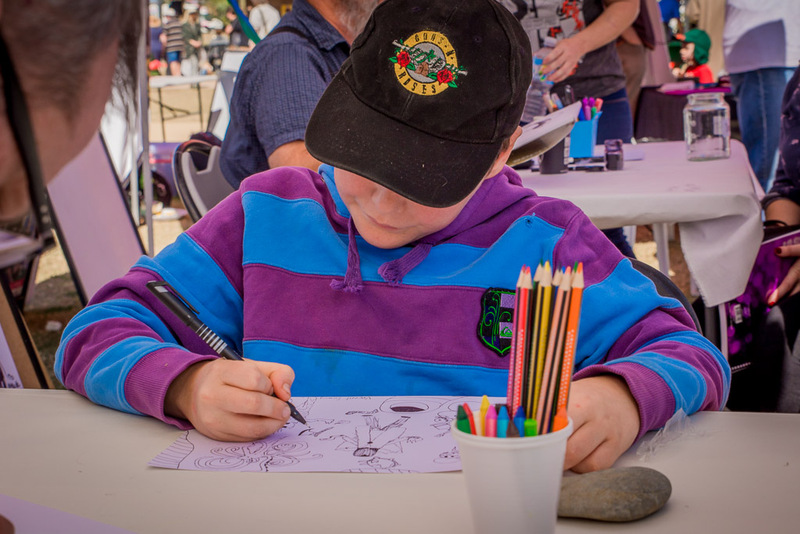 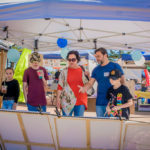 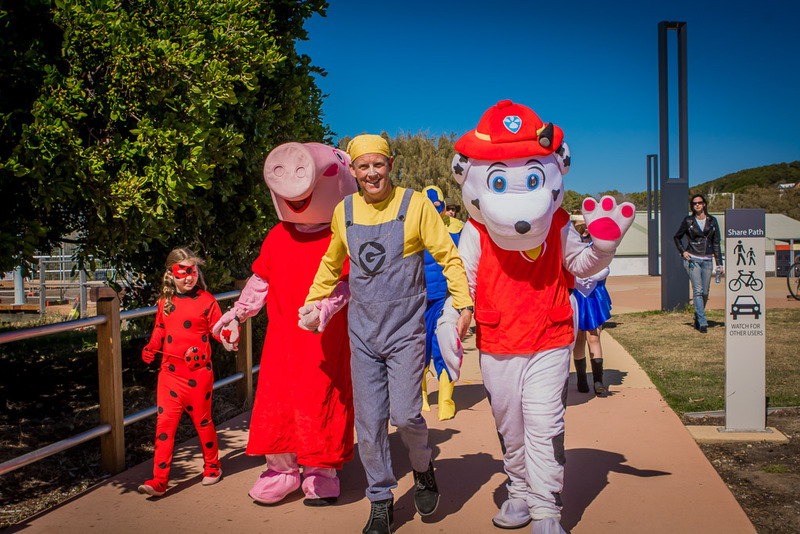 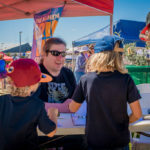 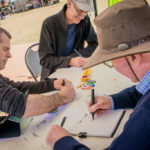 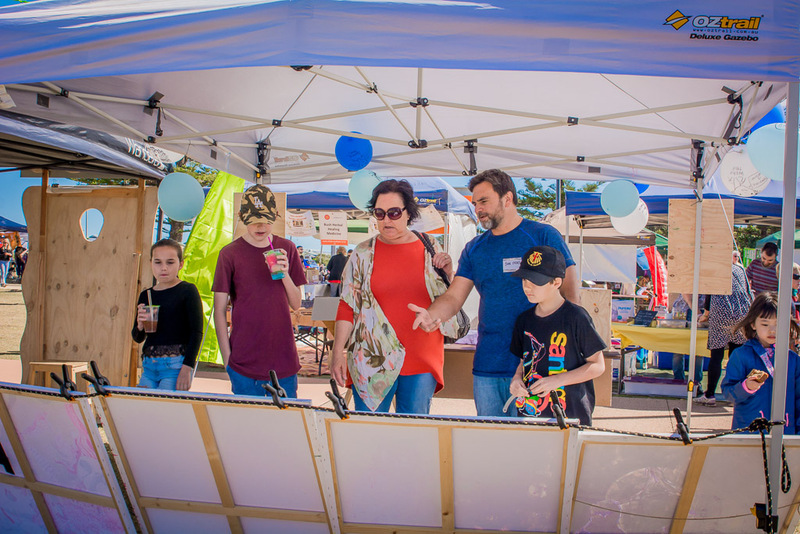 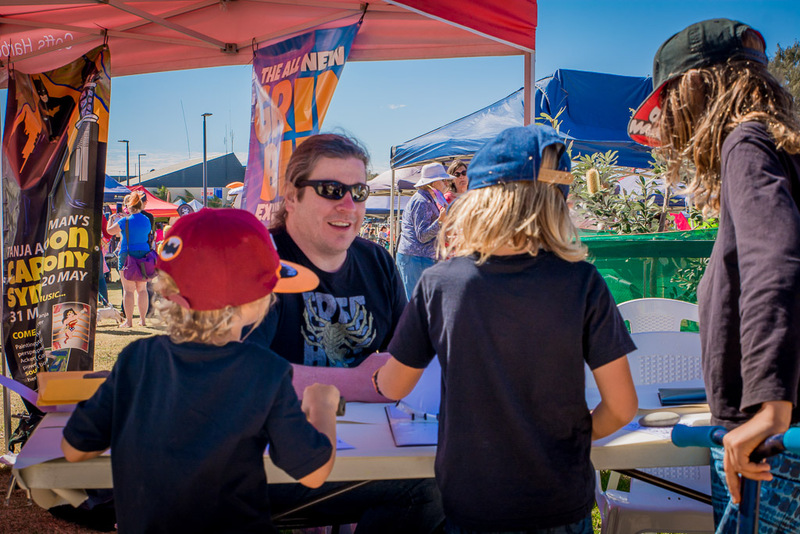 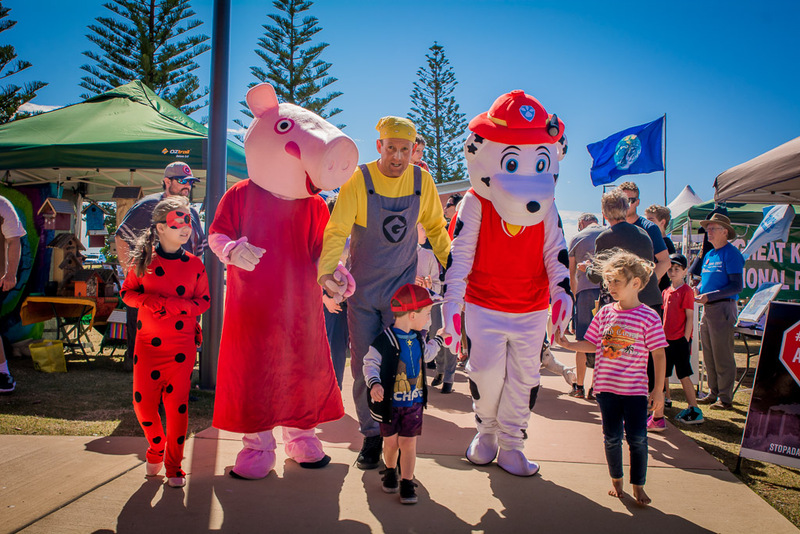 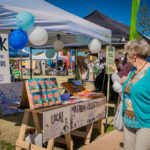 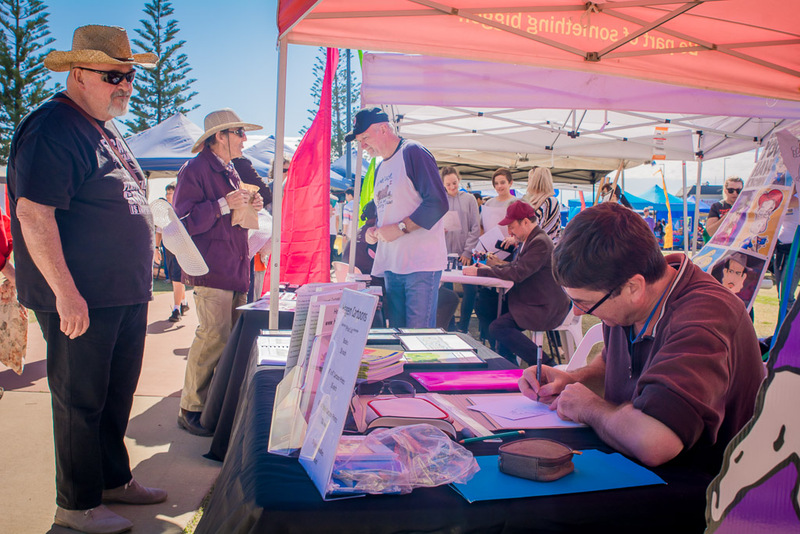 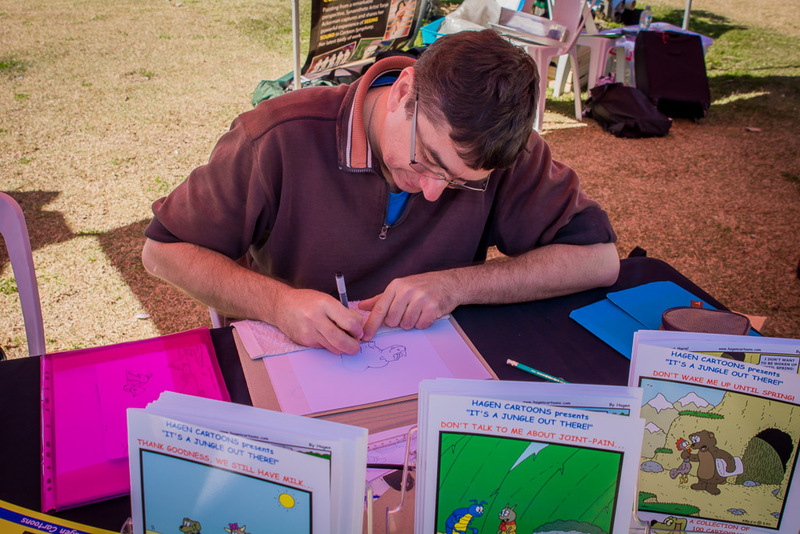 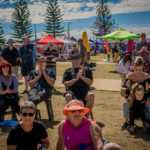 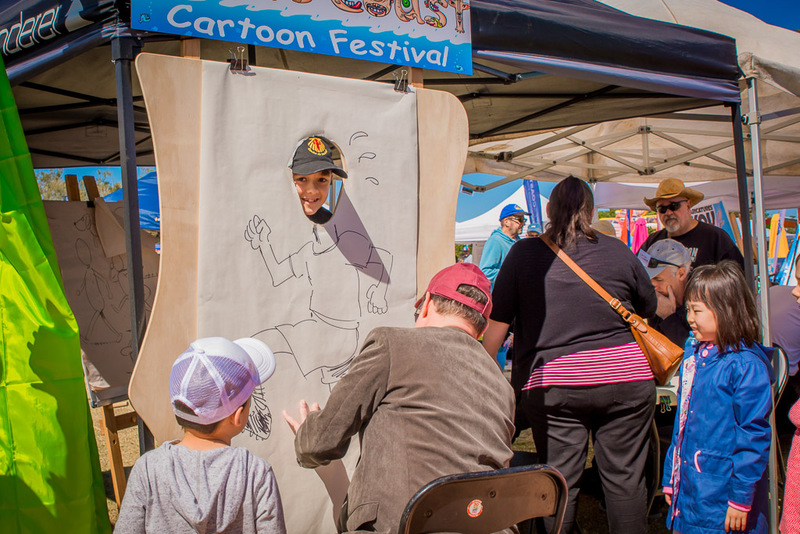 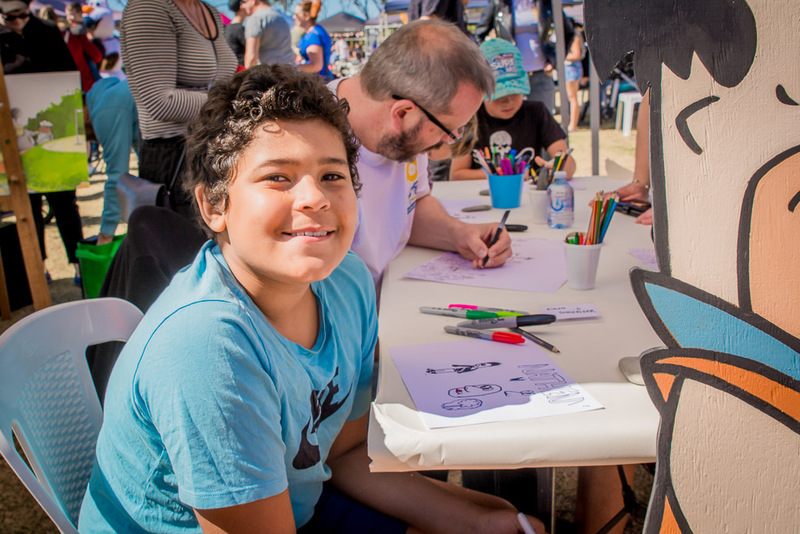 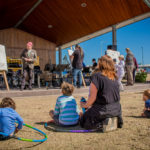 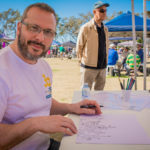 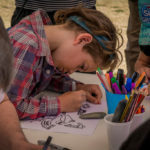 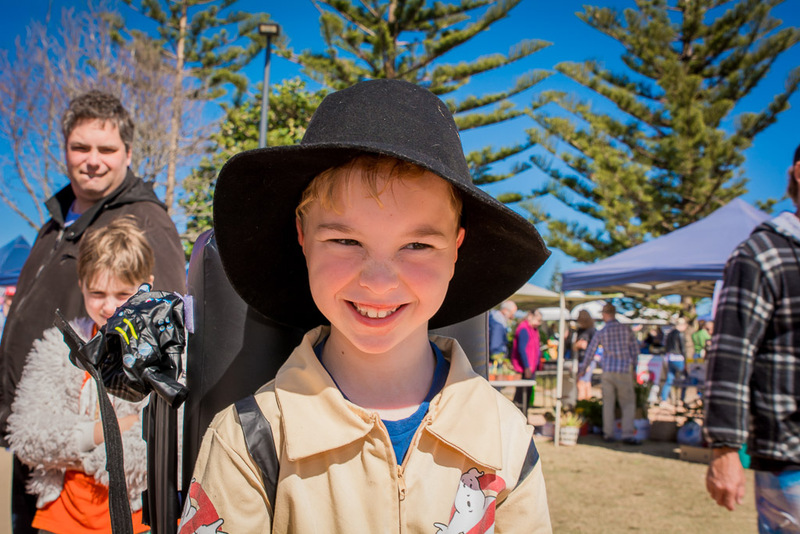 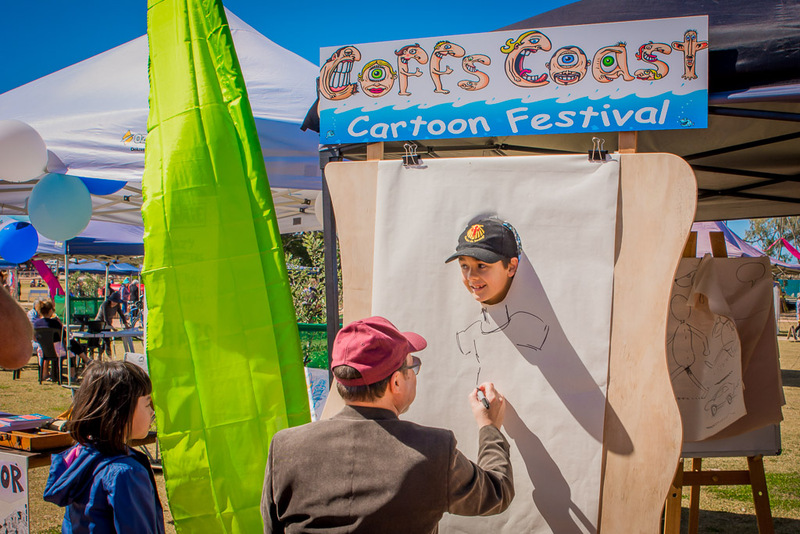 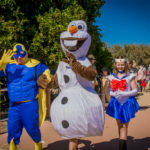 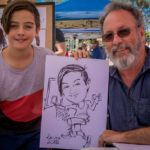 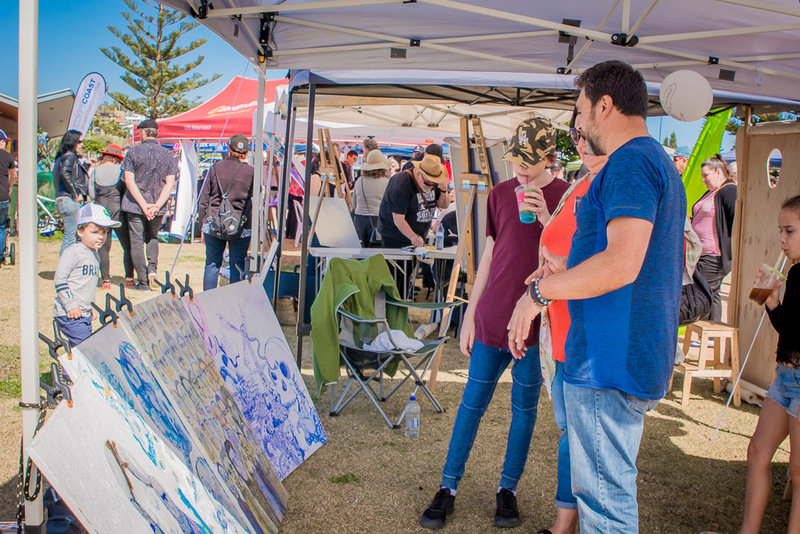 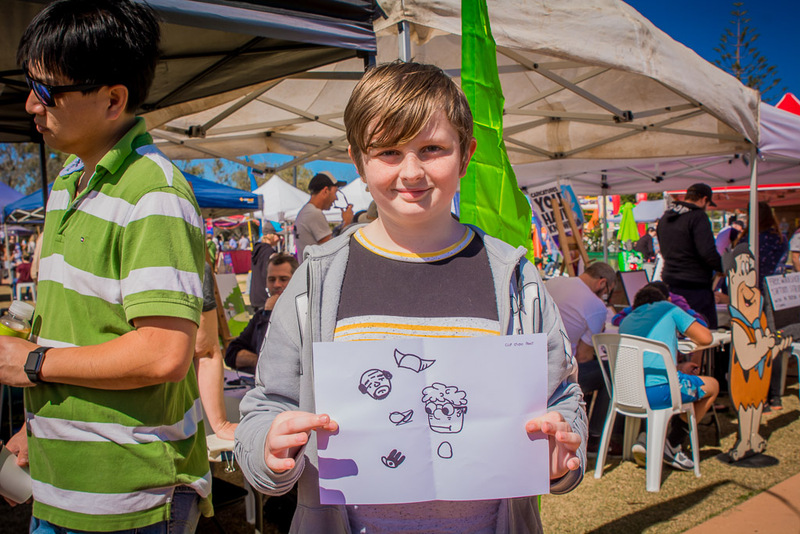 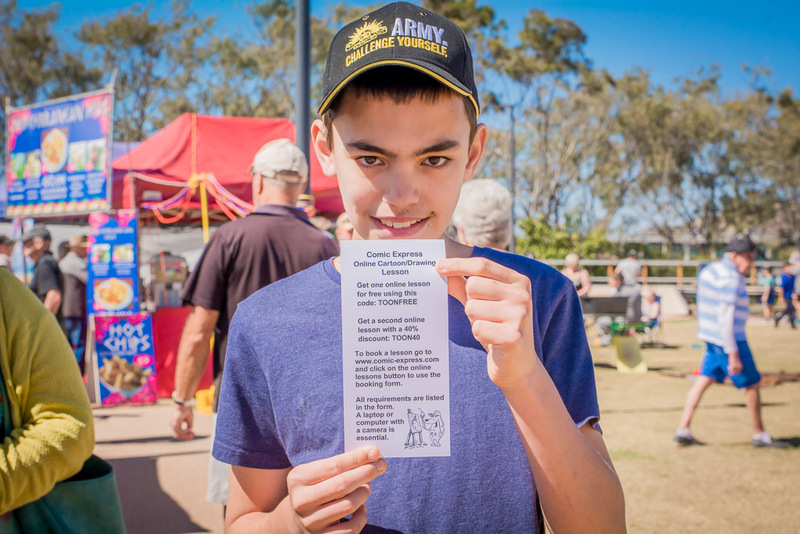 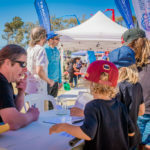 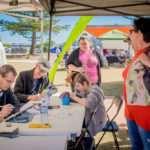 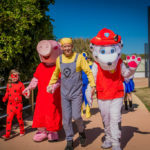 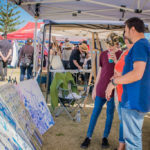 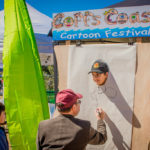 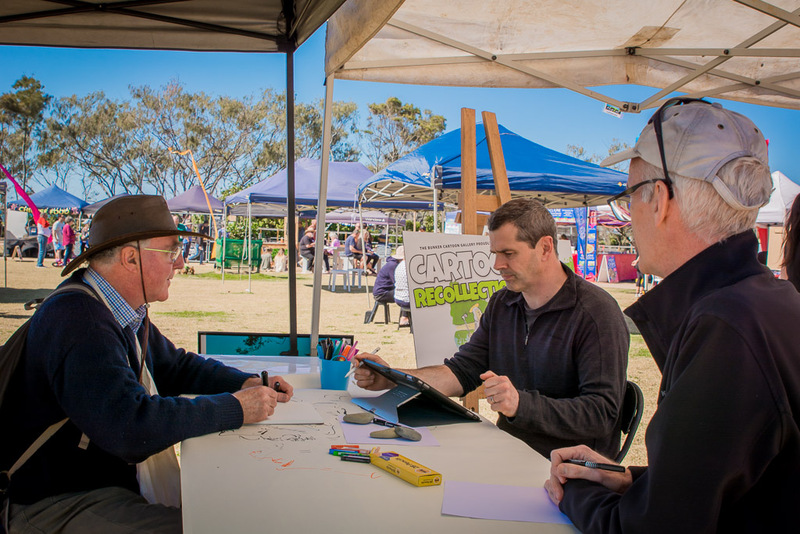 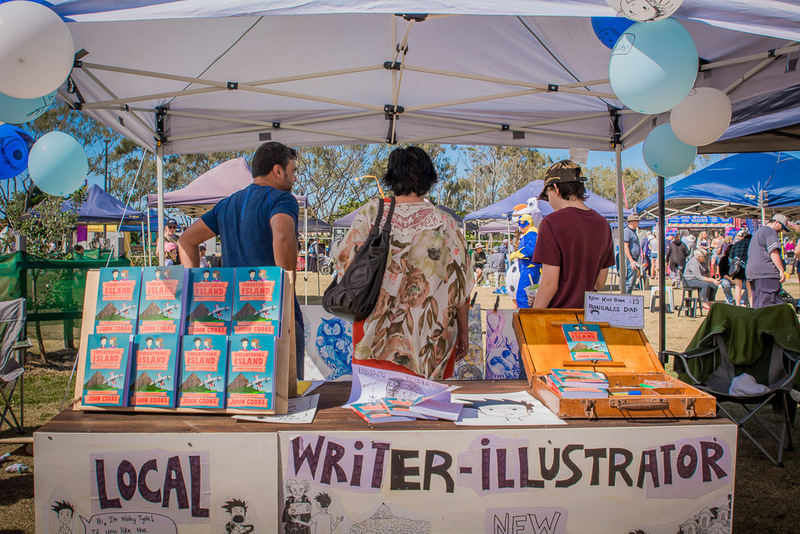 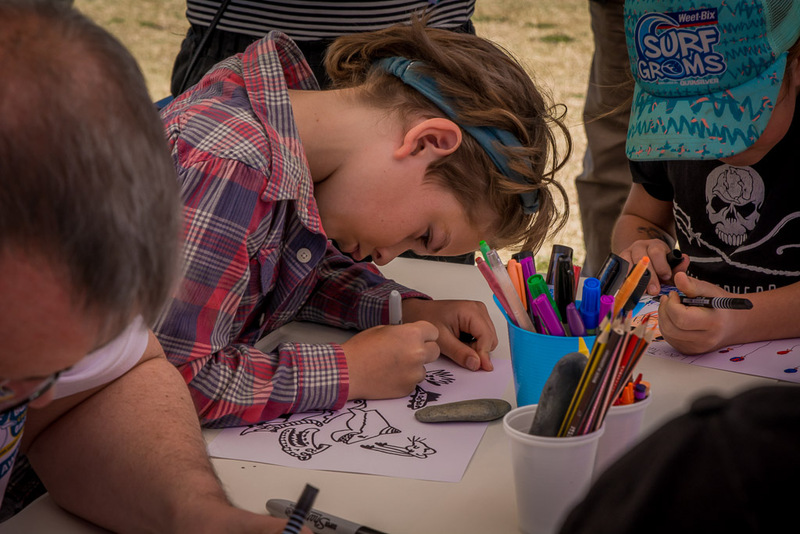 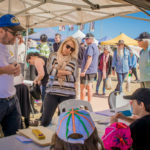 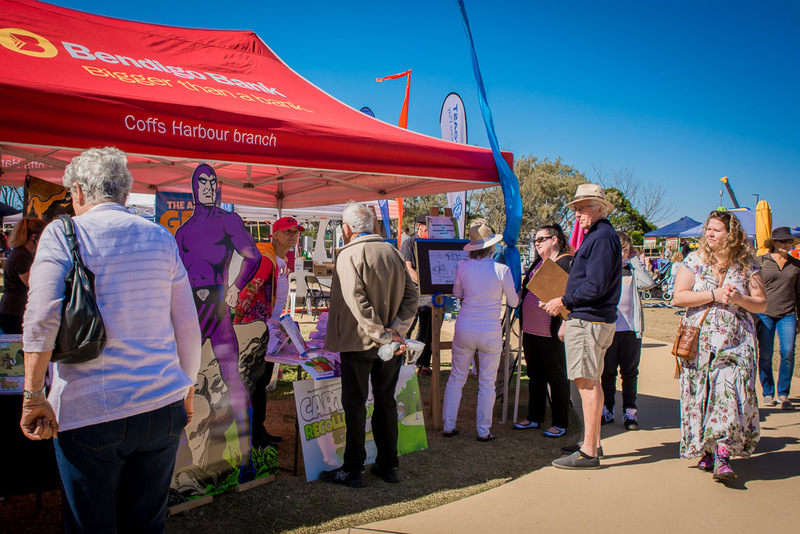 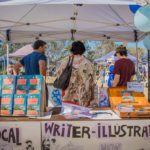 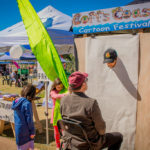 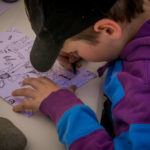 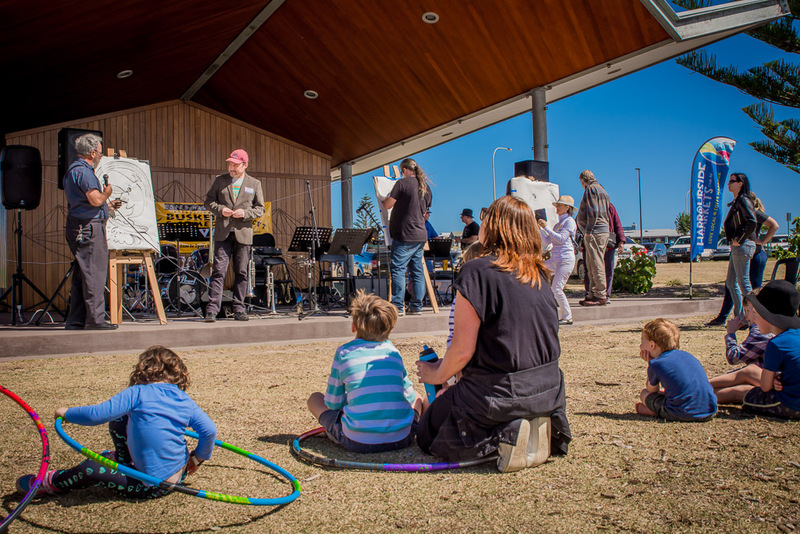 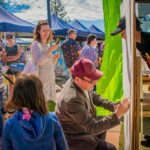 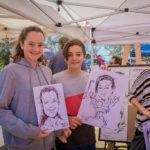 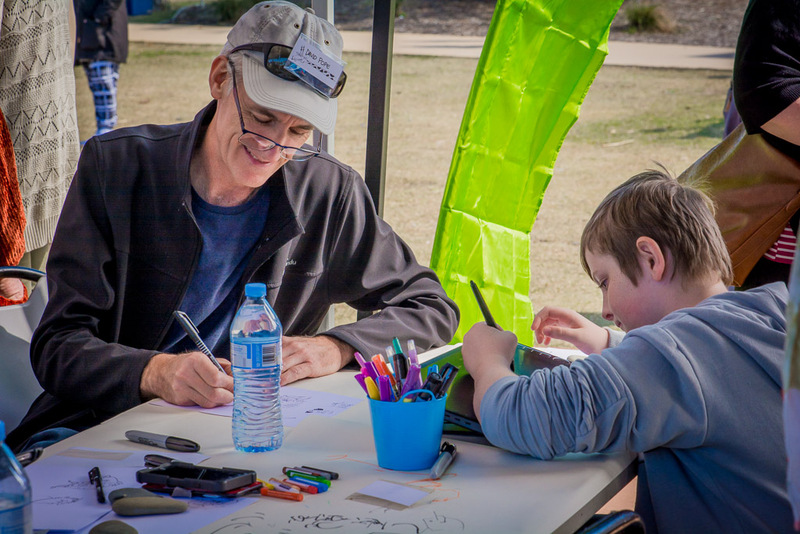 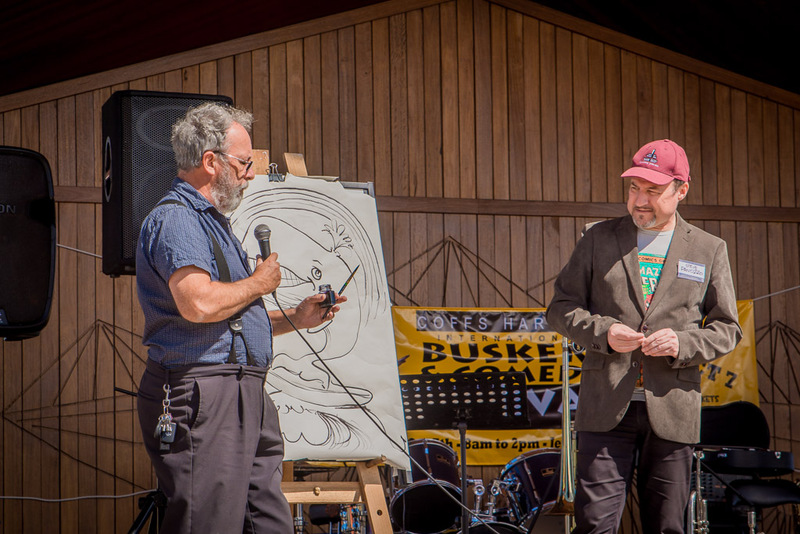 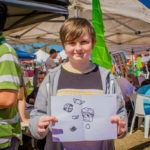 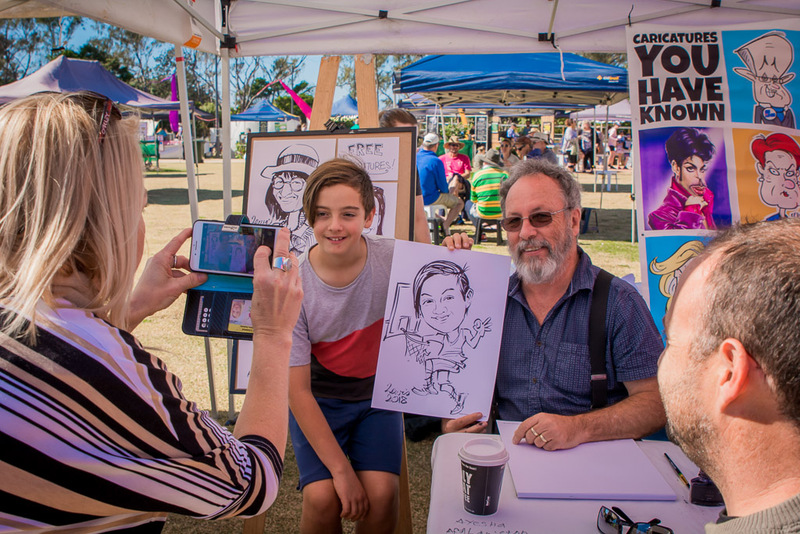 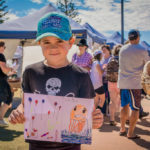 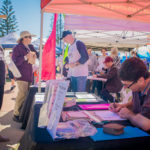 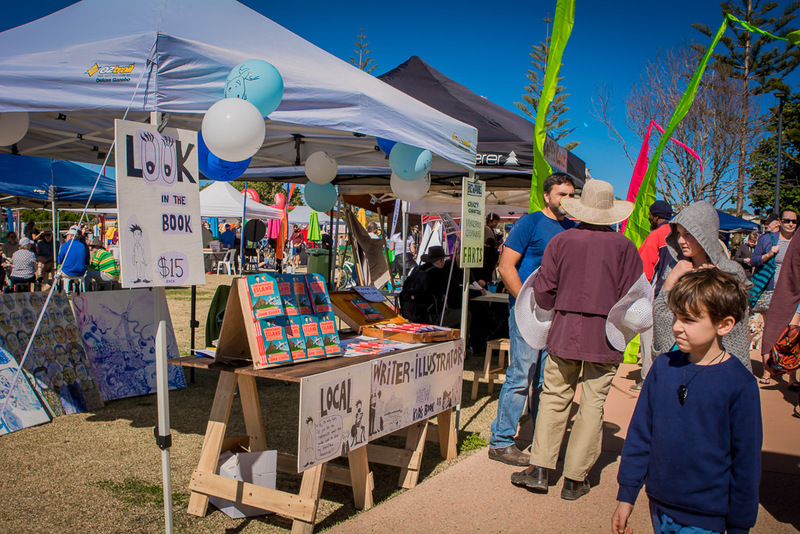 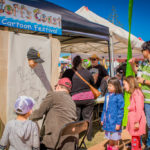 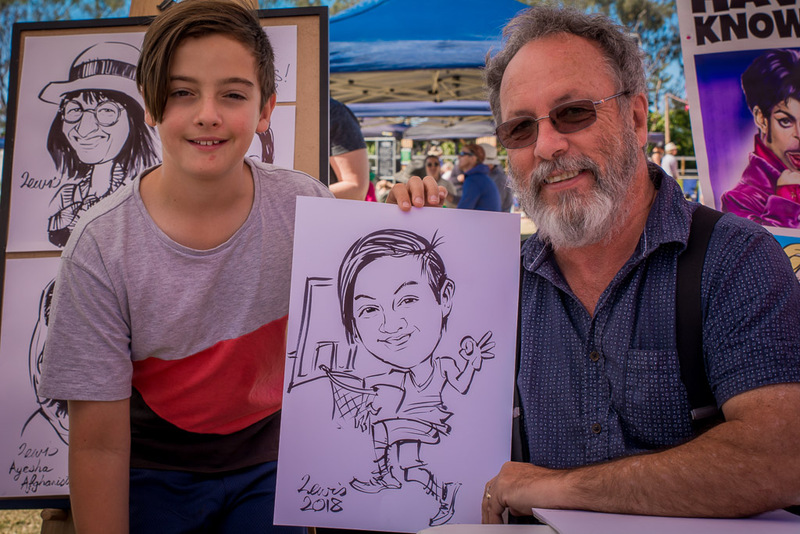 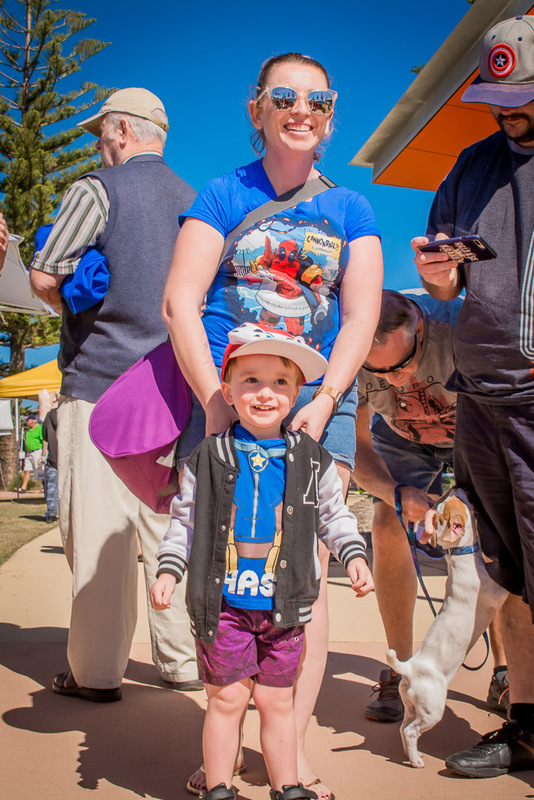 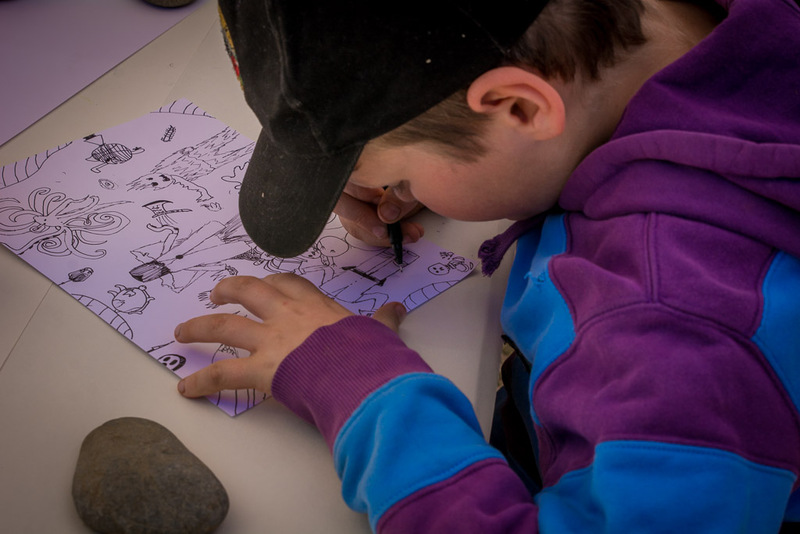 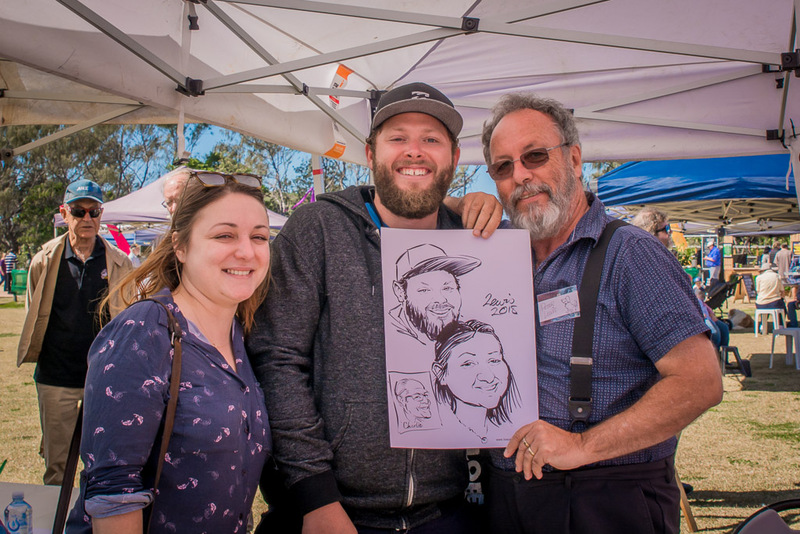 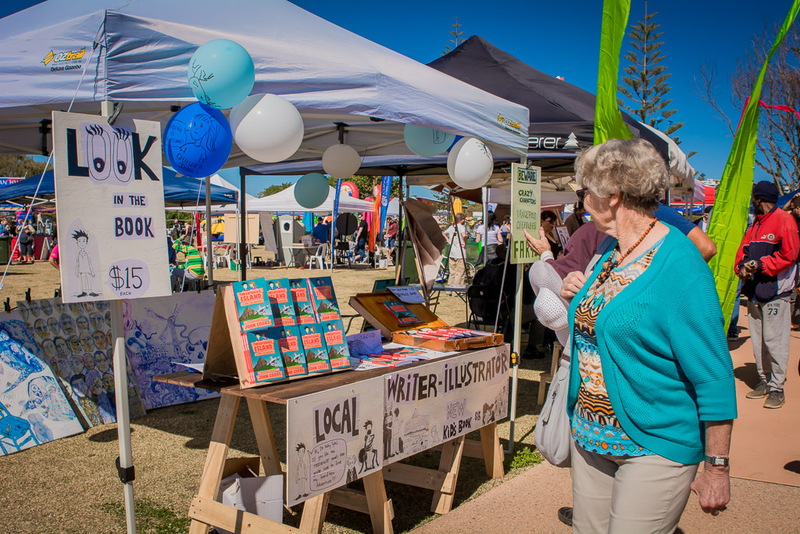 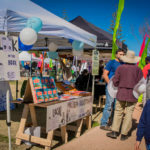 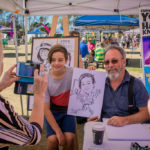 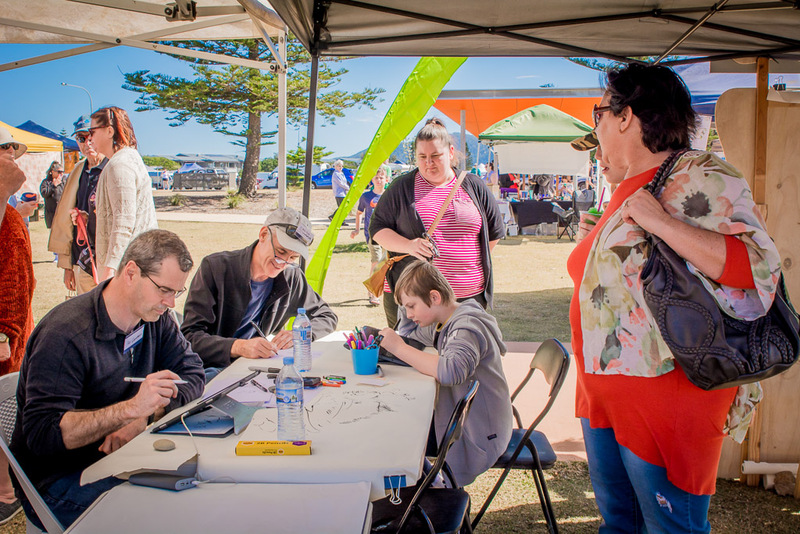 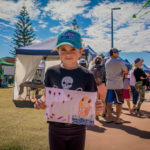 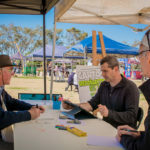 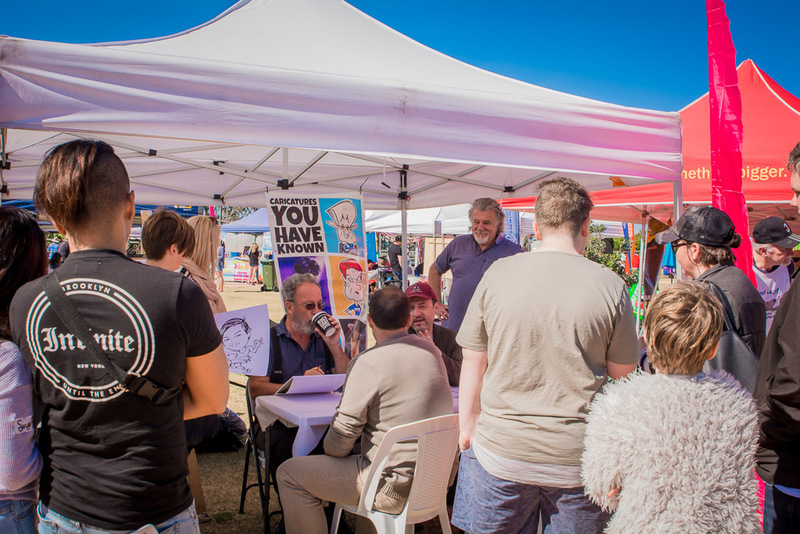 The Bunker Cartoon Gallery and Harbourside Markets hosted Coffs Harbour’s very first Cartoon Festival. 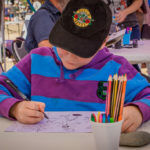 Saturday, 1 September marked the 30th Anniversary of The Rotary Cartoon Awards organised by The Bunker Cartoon Gallery. 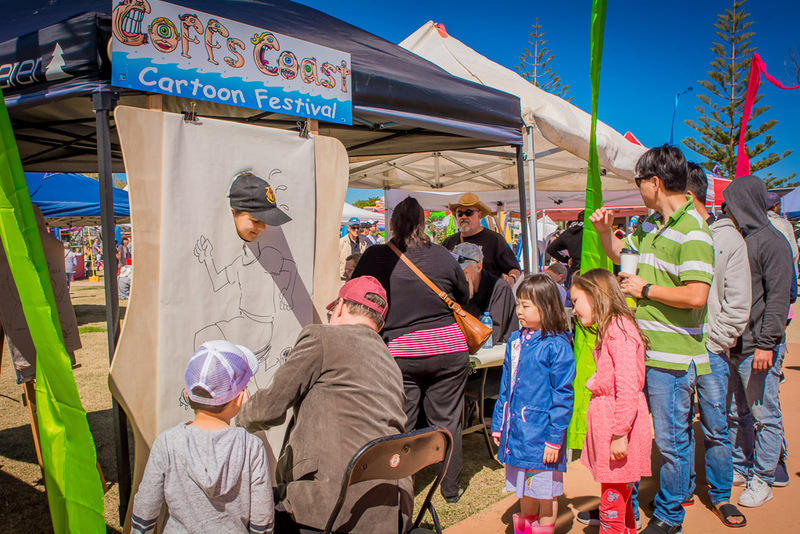 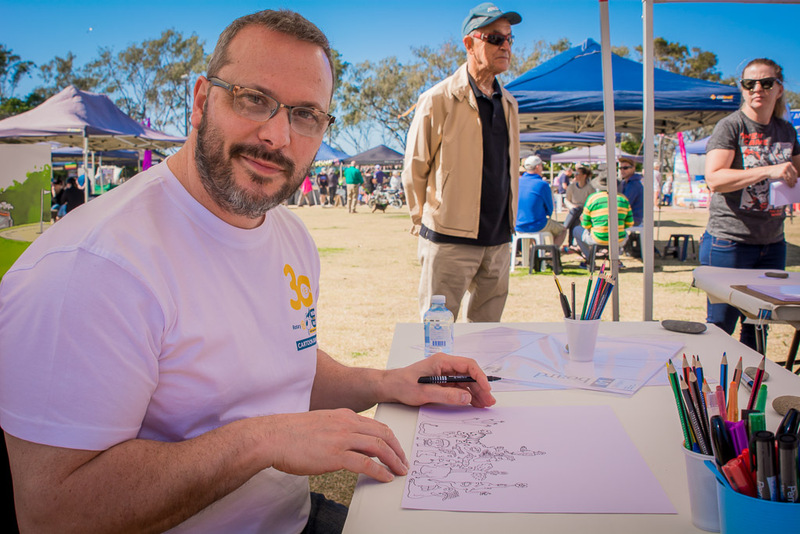 The Coffs Coast Cartoon Festival was organised with the cartoonists and artists in Coffs Harbour to celebrate the Awards and to add to the festivities. 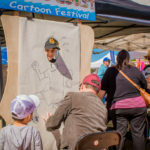 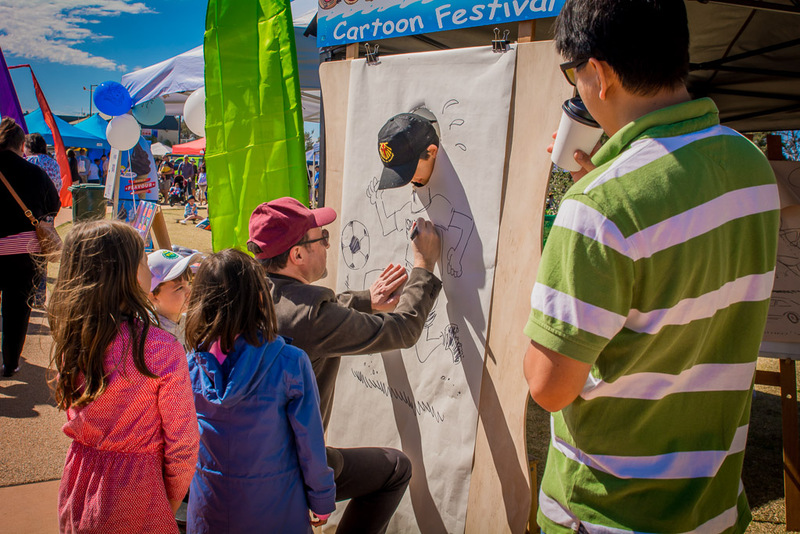 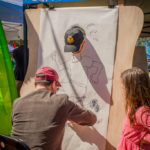 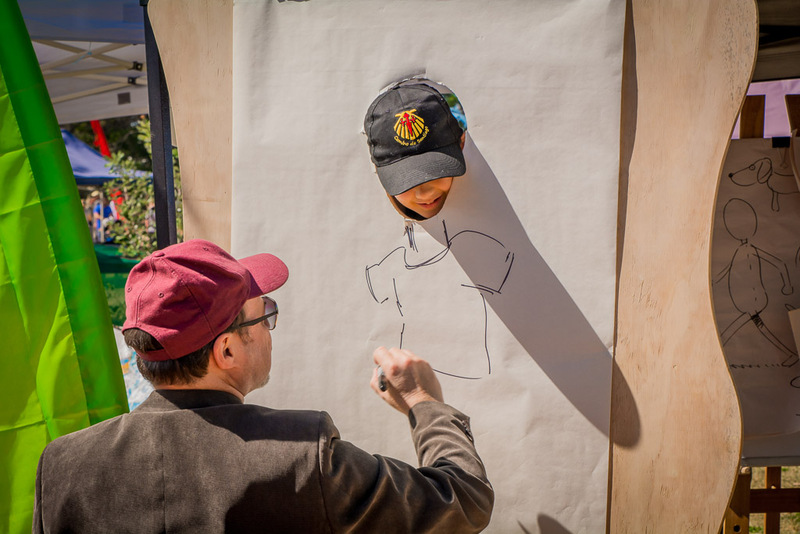 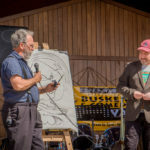 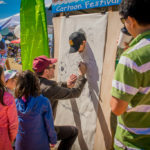 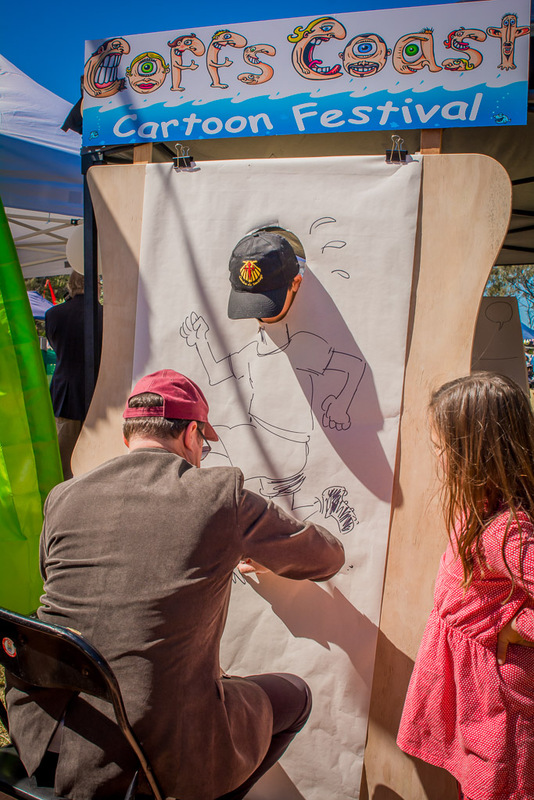 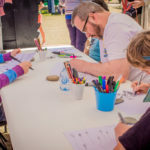 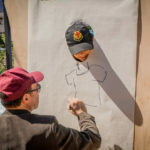 The day included workshops, pop-up shops, live drawing, caricatures, pavement art, a grand cartoon costume parade, and much more! 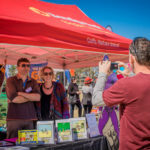 Thank you Free Exposure for the fantastic photos of the day! 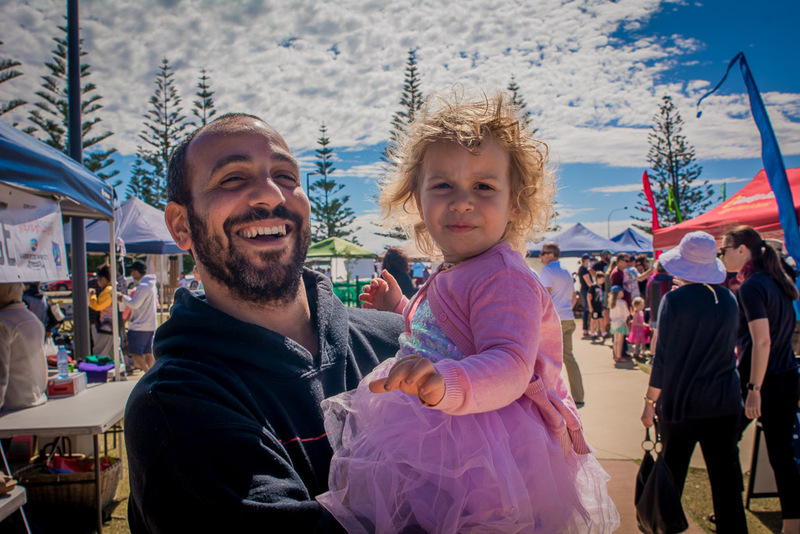 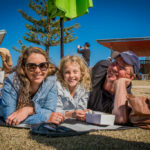 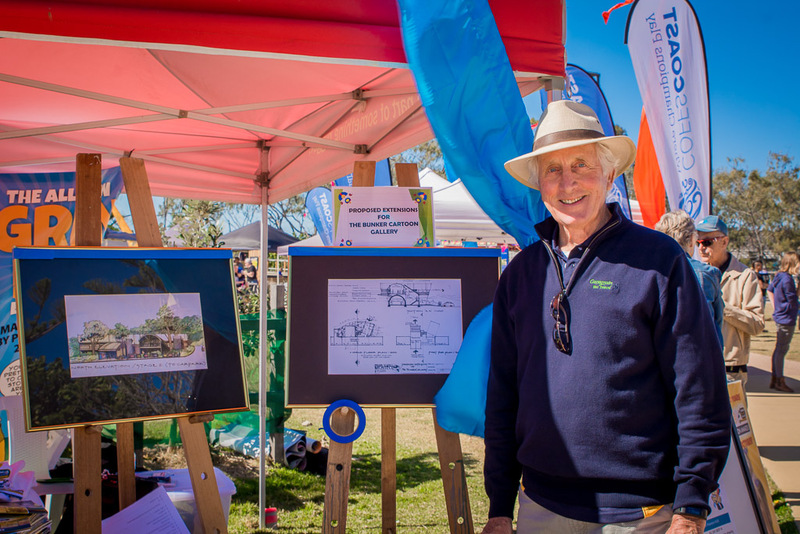 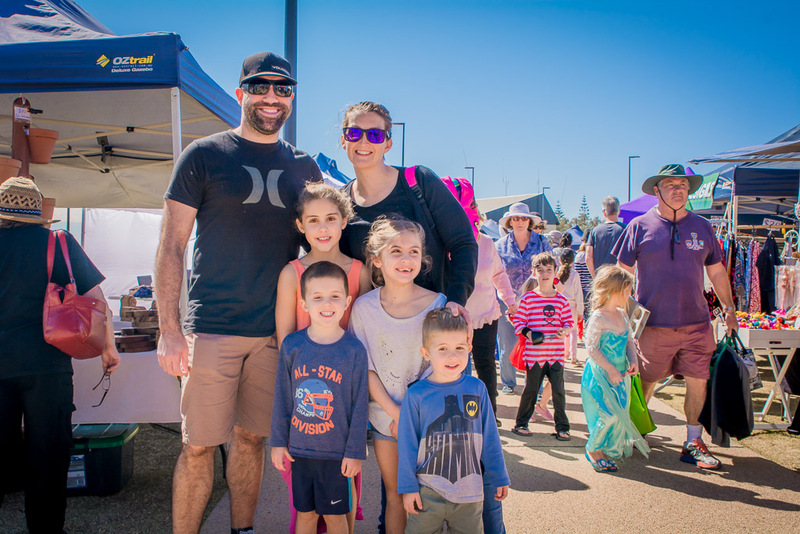 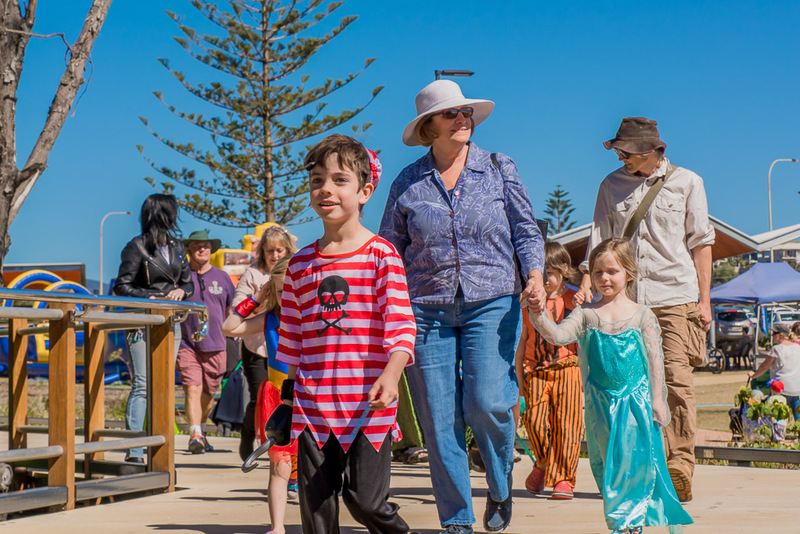 November will see the unveiling of the new outdoor space and the return of Harbourside Markets to its former Jetty location after months of steady construction work. 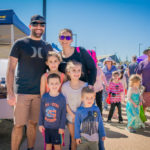 It will feel great to be back home and there has been plenty of big changes while we have been away! 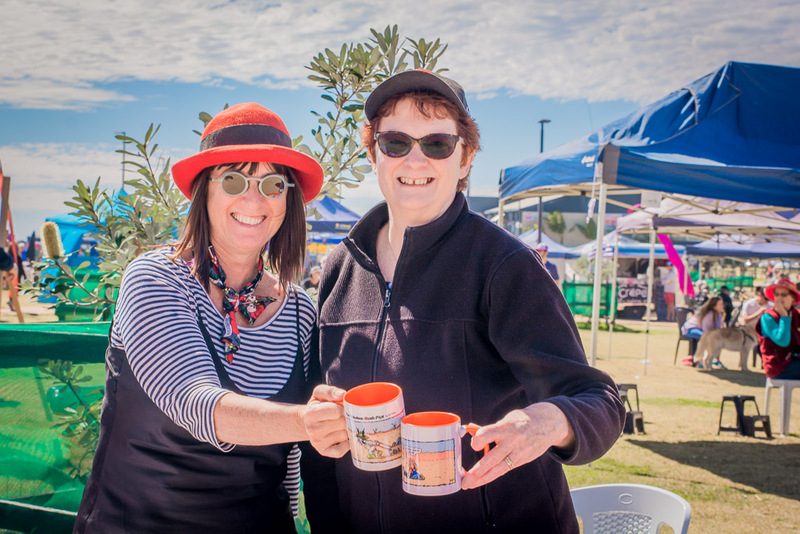 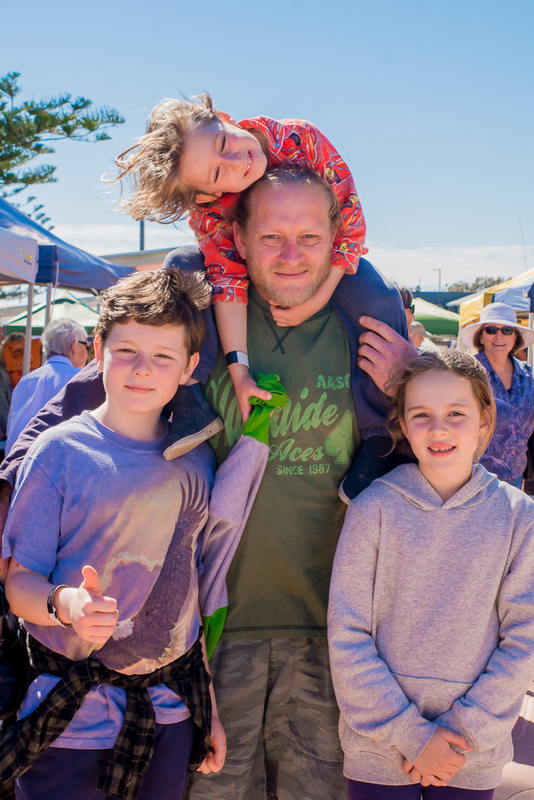 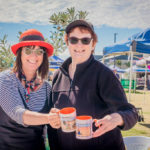 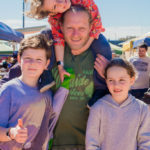 The old site has been totally redesigned to accommodate our weekly Sunday market of over 80 local maker and growers stalls who now return to a purpose built community market and entertainment space. 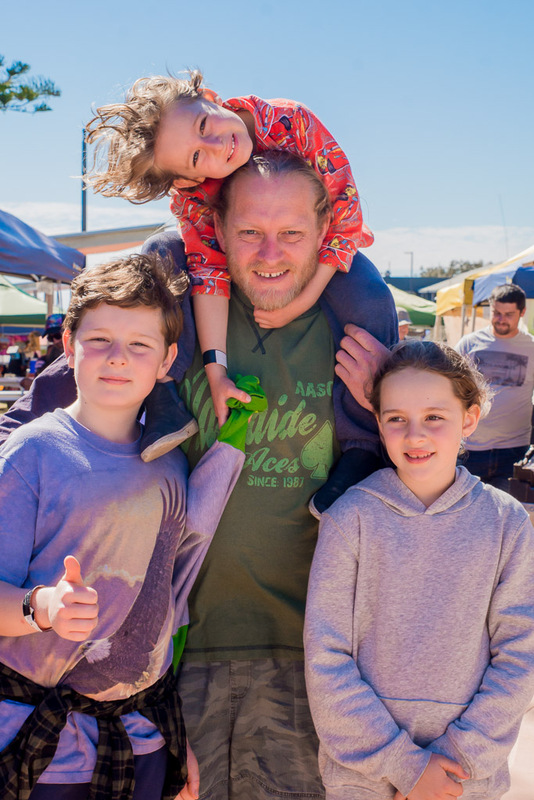 The markets will be BIGGER, BETTER and BRIGHTER than ever before with lots of new features for you to enjoy. 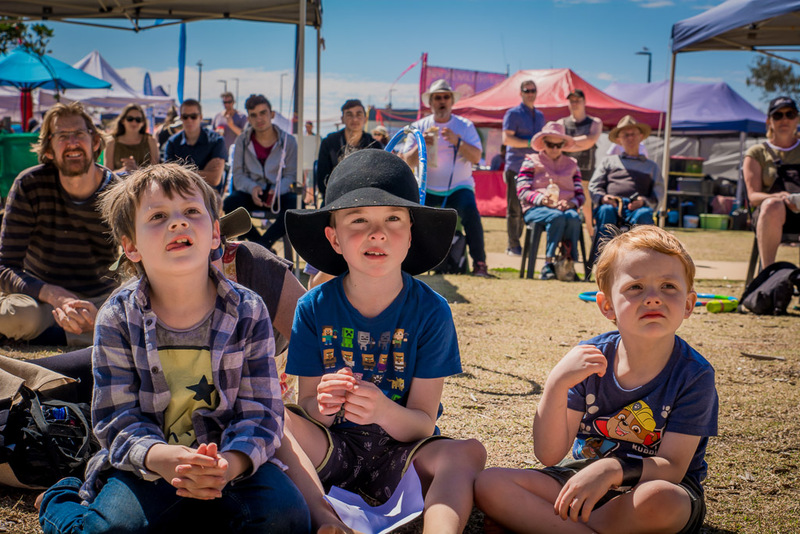 There is also plenty of undercover seating so sit back on our funky, new outdoor bean bags while you soak in the sights, sounds and smells of the market food, creative stalls, live music and kids entertainment. 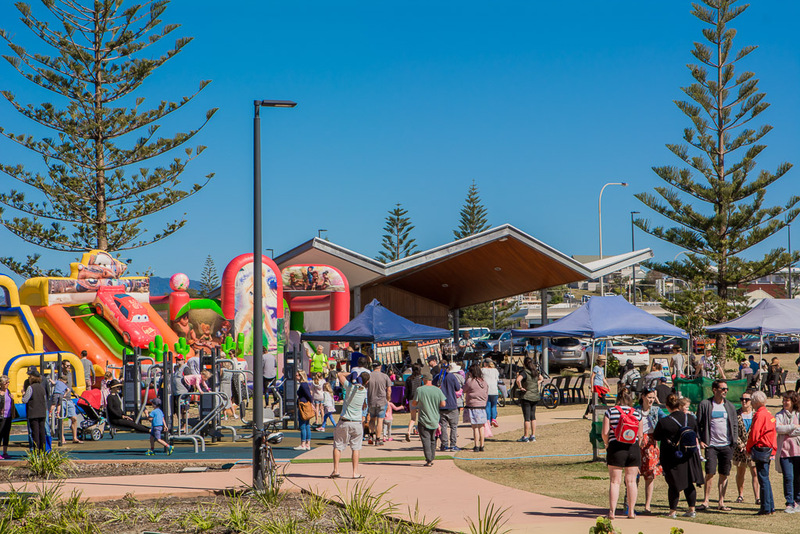 There is a new permanent stage, plenty of footpaths or try out the new outdoor exercise station. 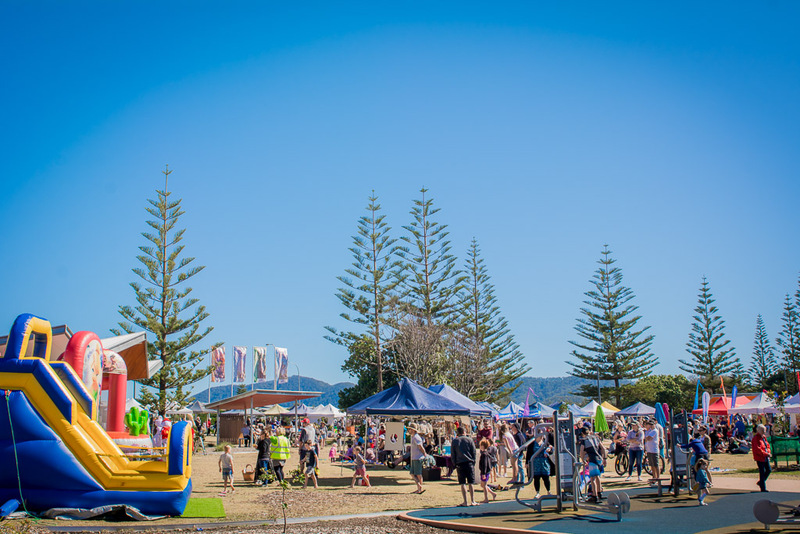 The land has been built up and lush grass and new trees have been planted. 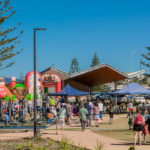 The design also takes into account its harbour location with a new boardwalk inviting brilliant sea views into the space.